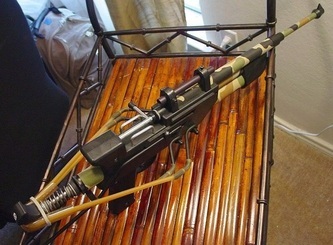 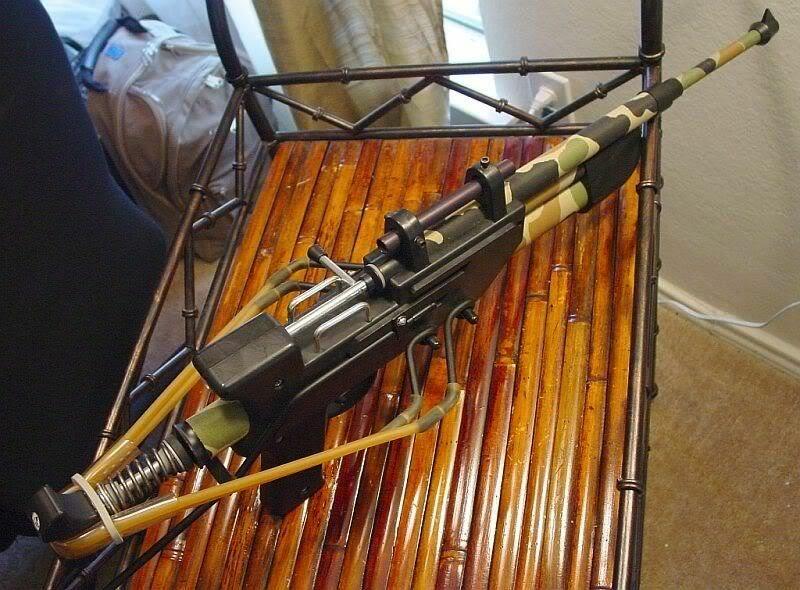 Diana Model 27 Pre-War (WWII) Circa 1923 - .177 Cal. 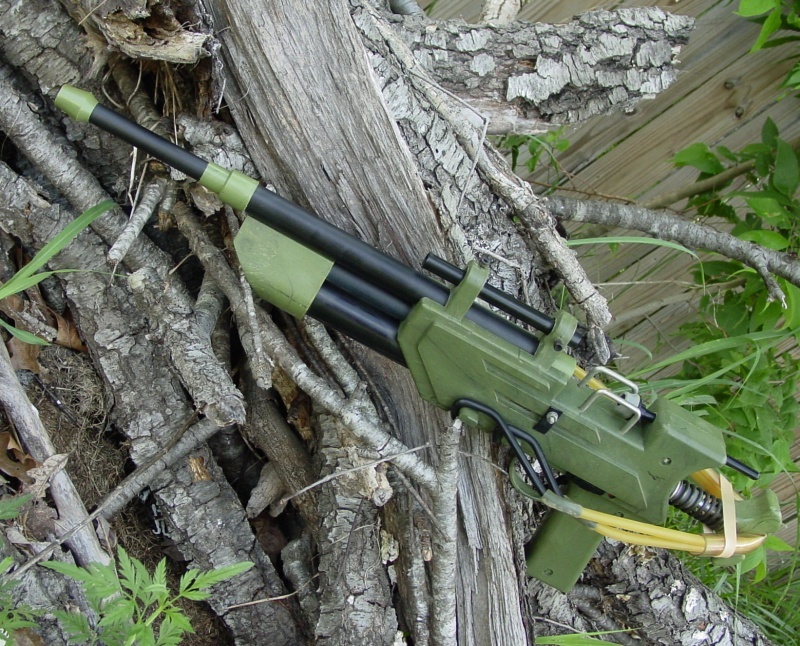 The Mega-Dart MX-7 rifle and MX-5 pistol are spring piston powered airguns that fire conventional .40 cal. 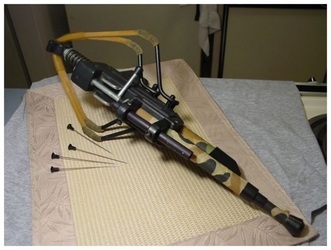 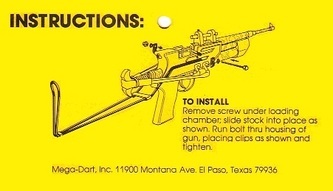 blowgun darts. 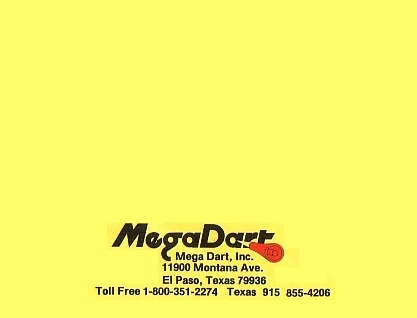 Mega-Dart, Inc. was founded in El Paso, TX by the gun's inventor John E. Turner and the guns were manufactured by Wells Fargo Manufacturing Co. of El Paso, TX . 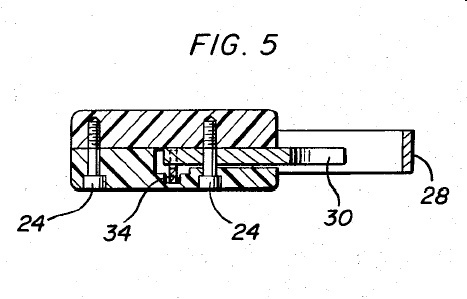 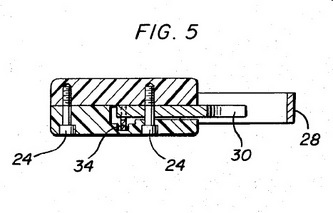 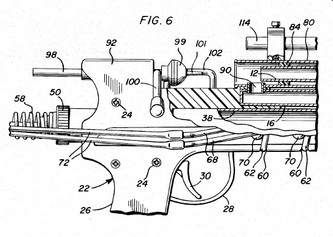 A patent application was filed in August of 1985 and was subsequently granted in December of 1986. 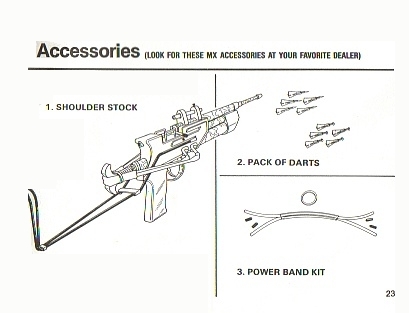 The guns were offered for sale in retail stores, catalog outlets, and through ads placed in various magazines. 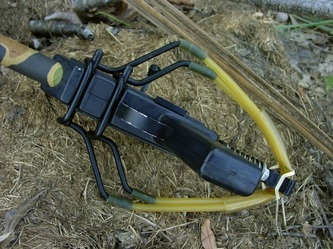 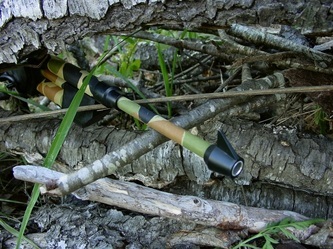 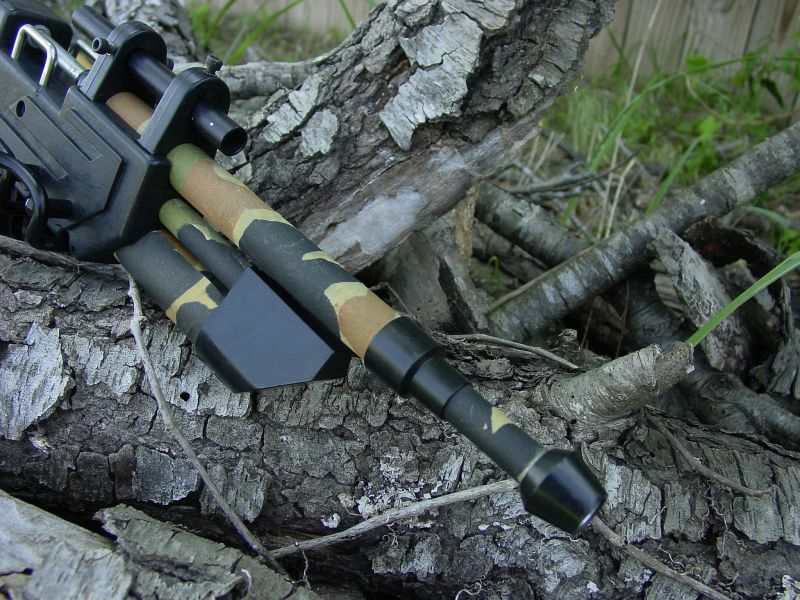 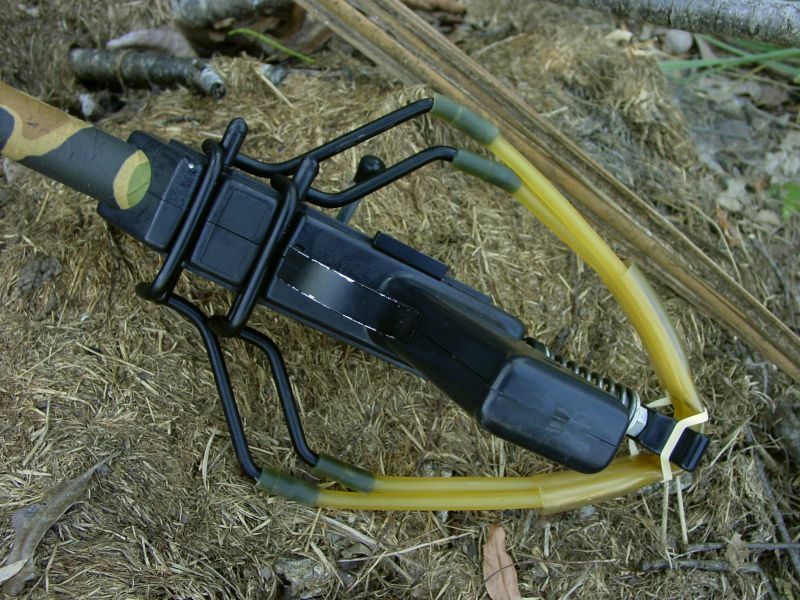 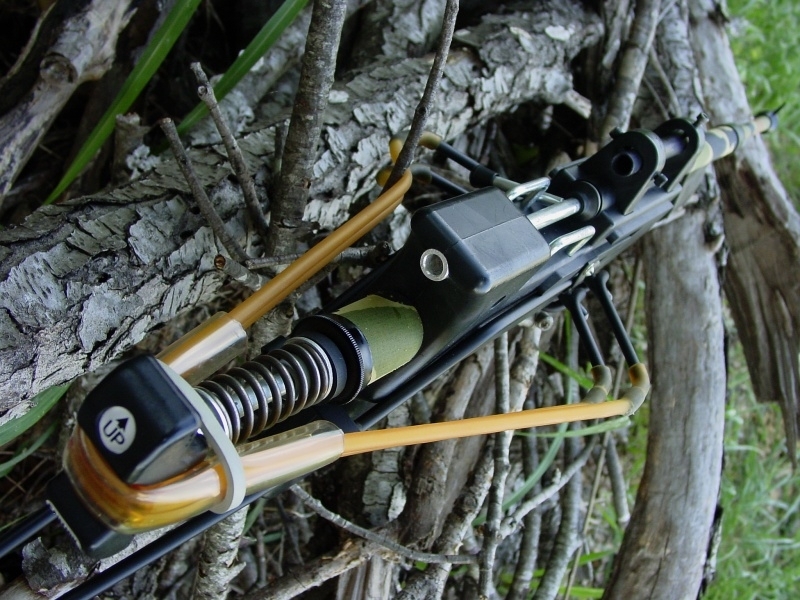 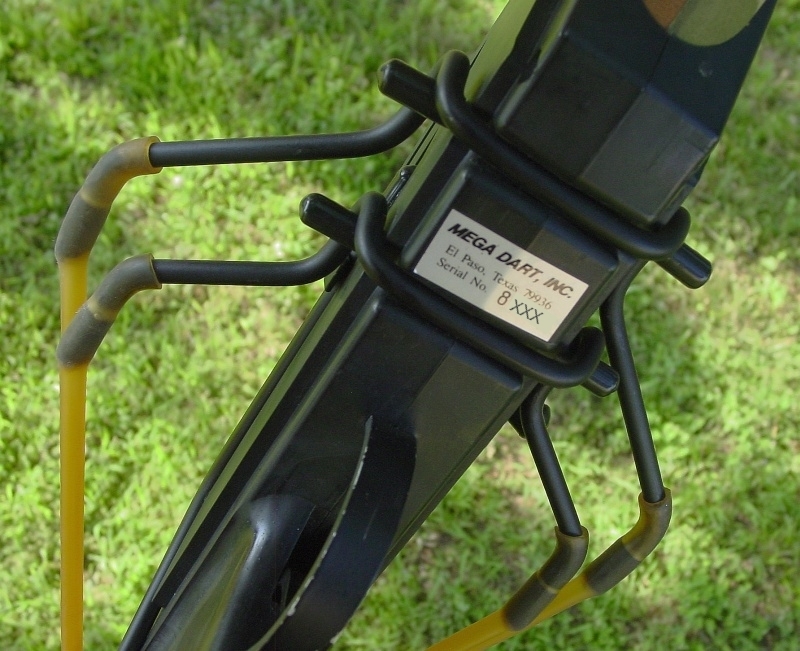 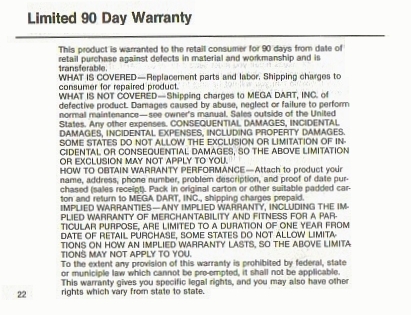 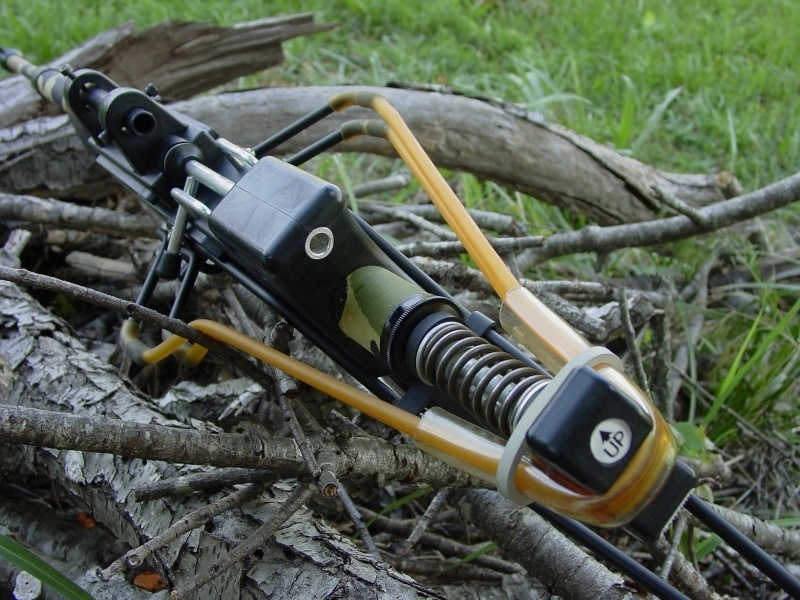 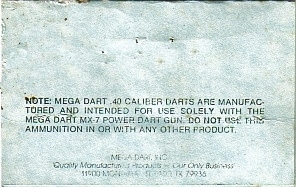 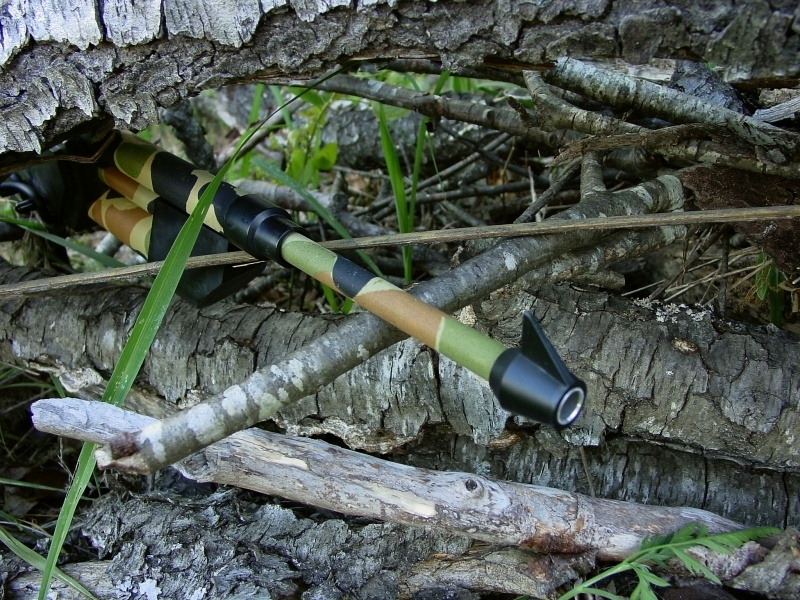 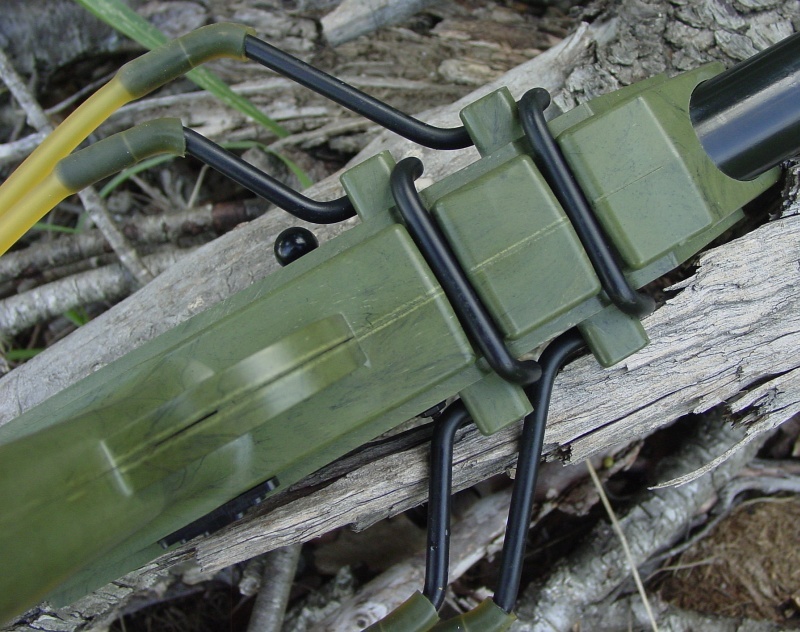 At this time (June 2011) the Mega-Dart blowguns are no longer in production and therefore are only available on the used market. 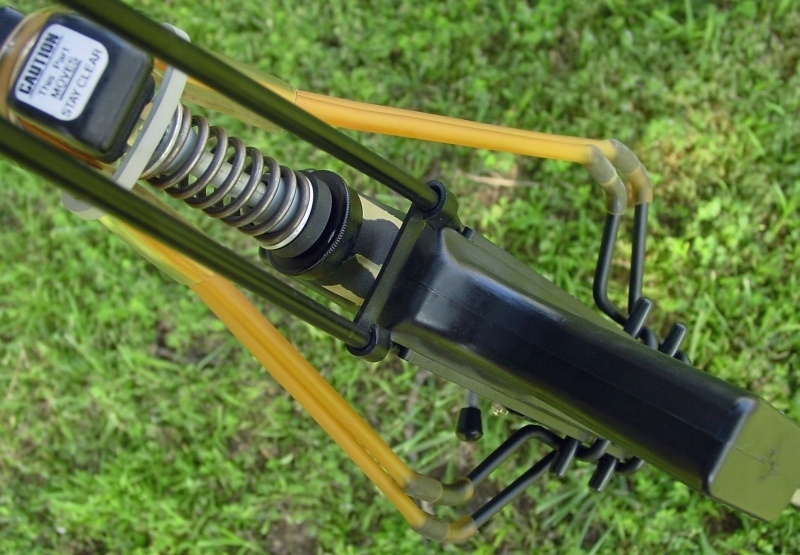 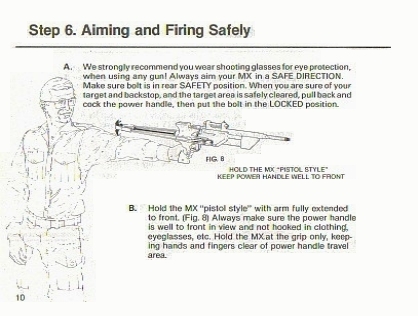 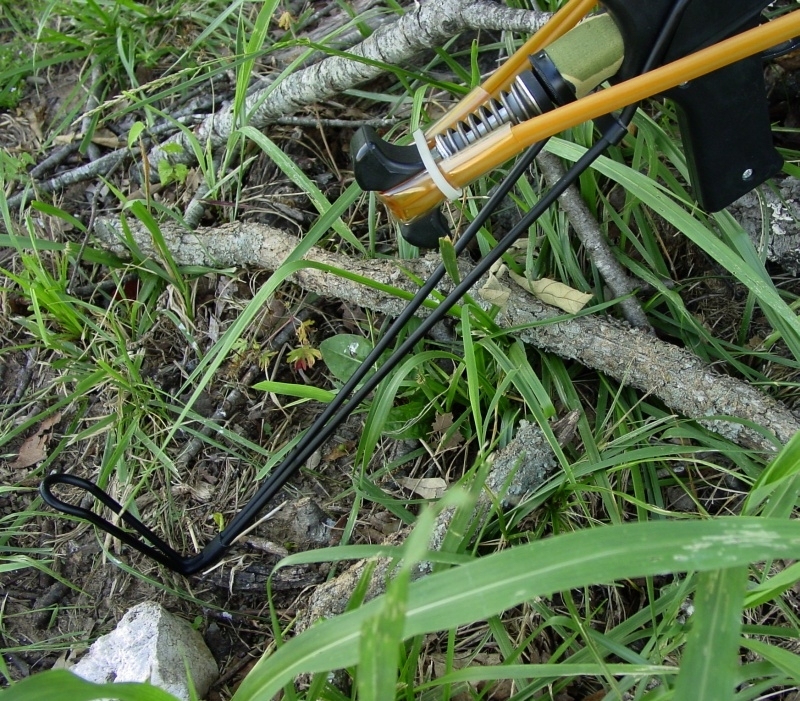 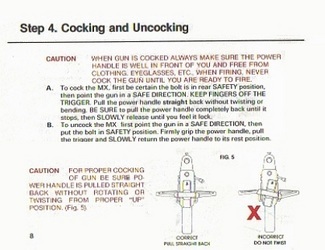 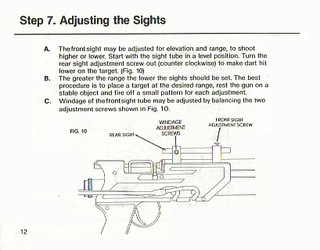 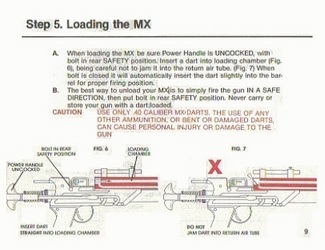 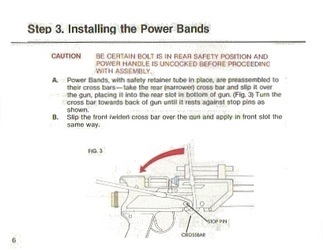 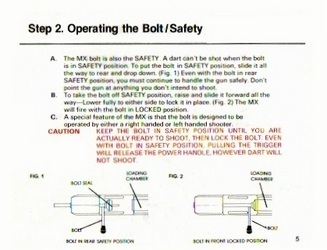 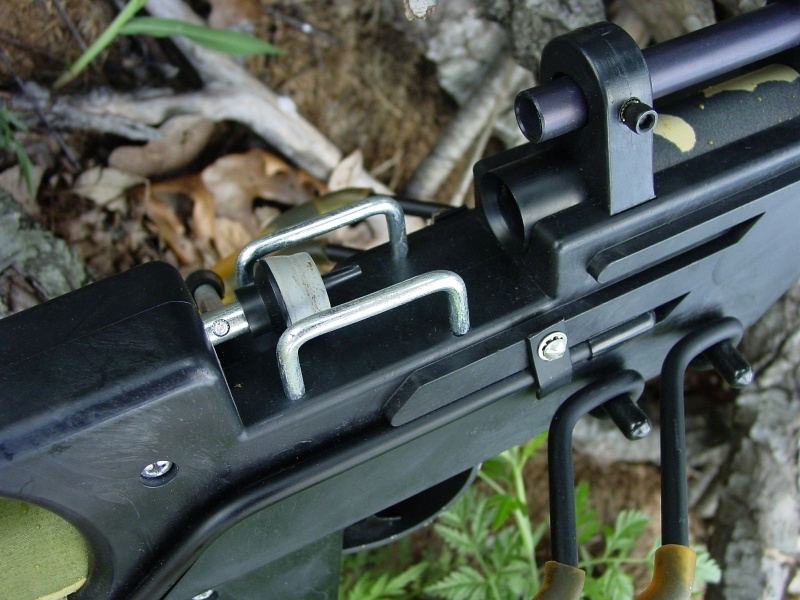 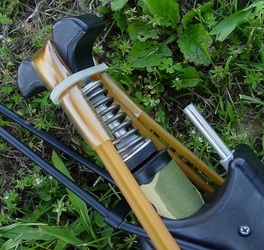 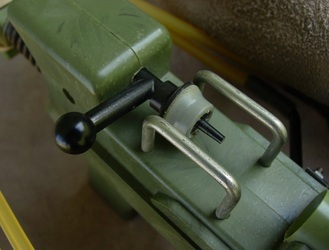 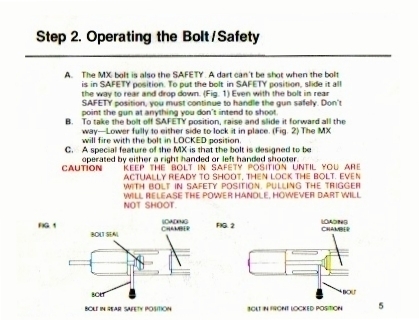 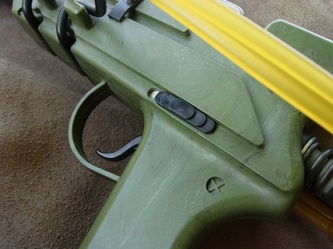 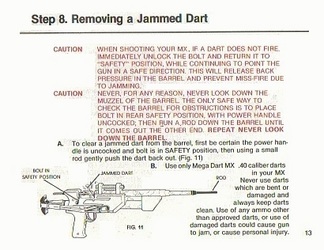 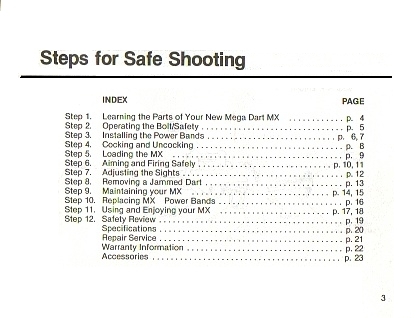 To use the gun, retract the rifle's bolt and insert a dart then close/lock the bolt. 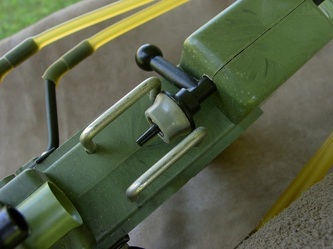 Pull back on the cocking handle at the rear of the gun until it locks in place. 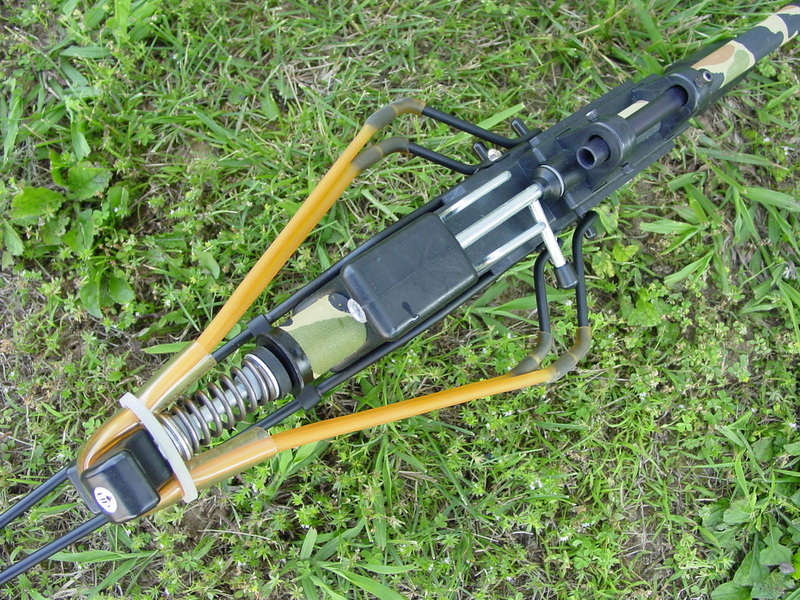 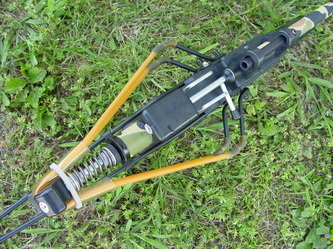 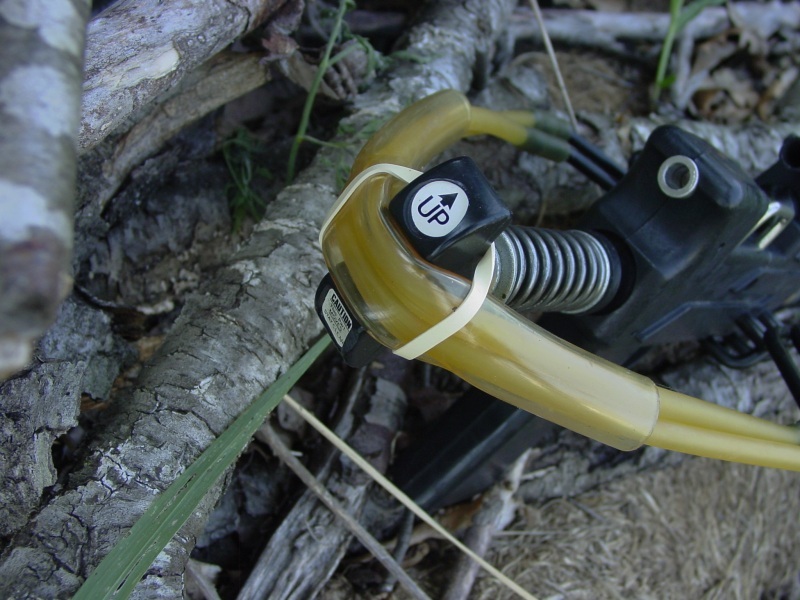 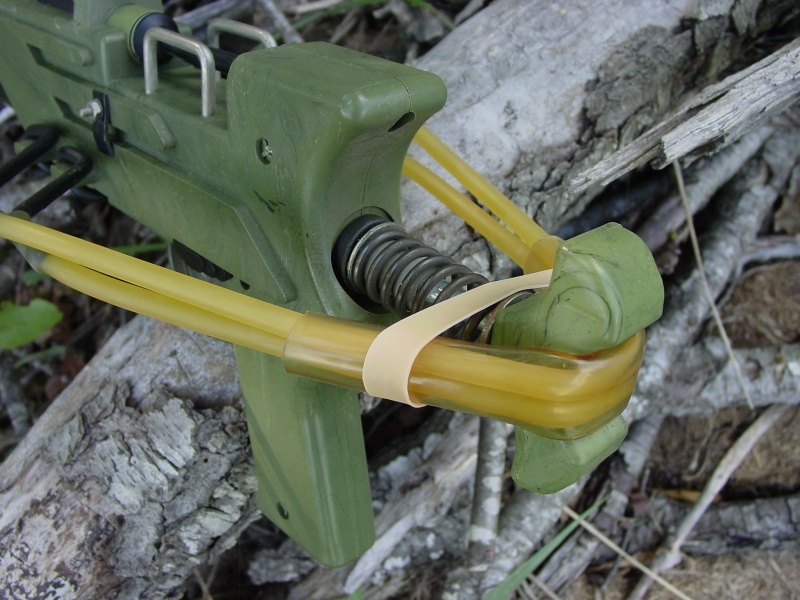 This stretches the pair of latex elastic bands/tubing that encircle the cocking handle which is attached to the piston rod/piston assembly. 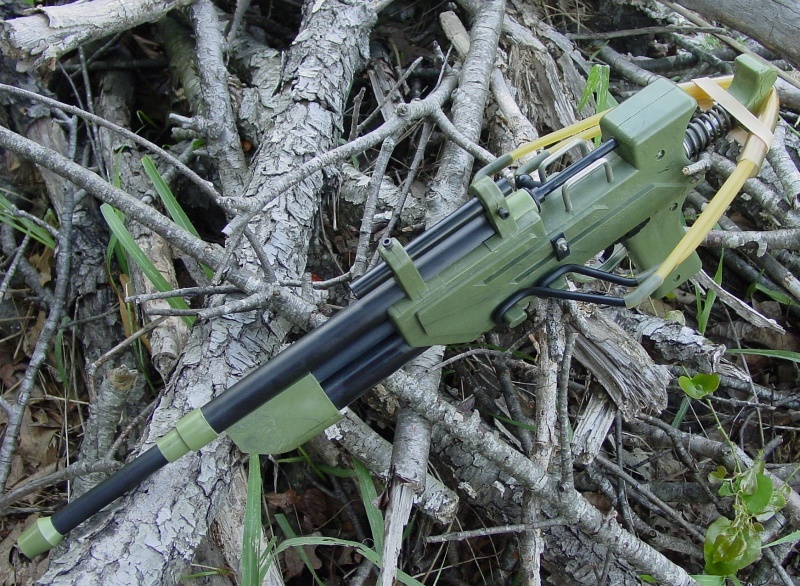 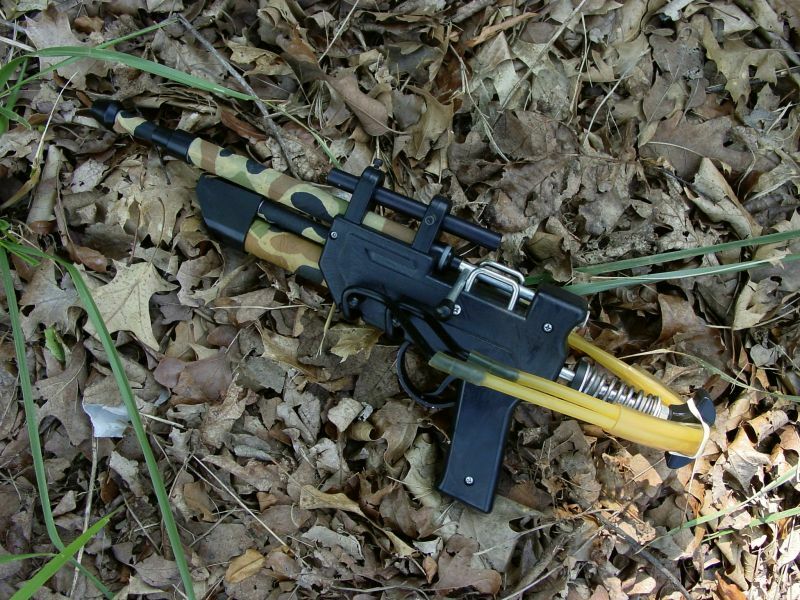 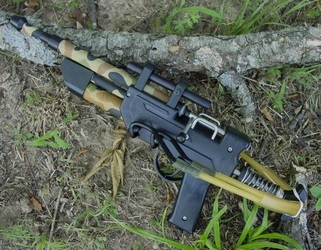 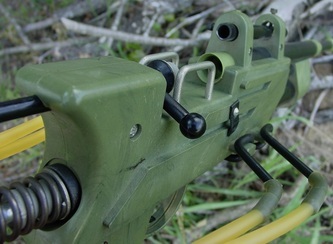 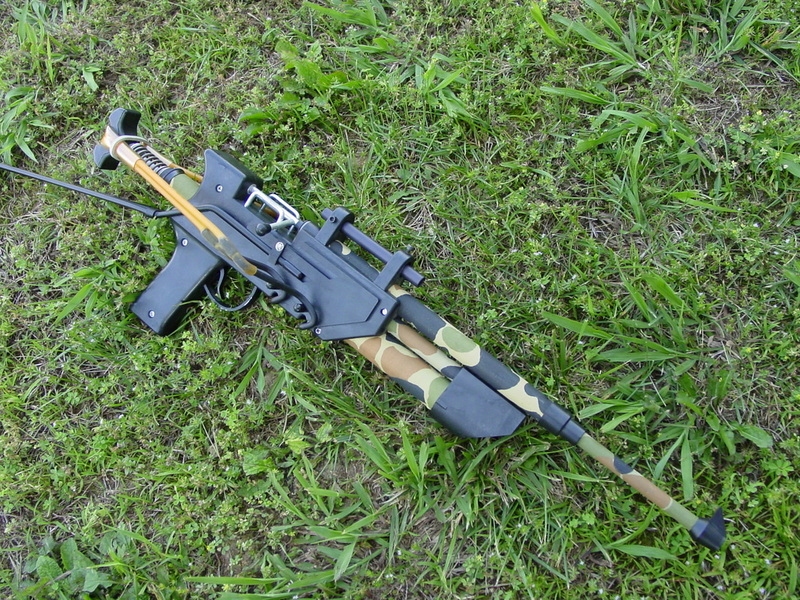 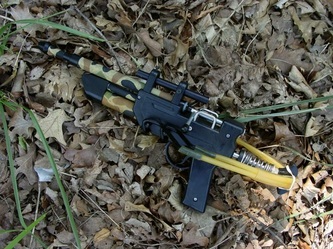 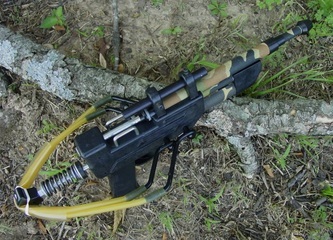 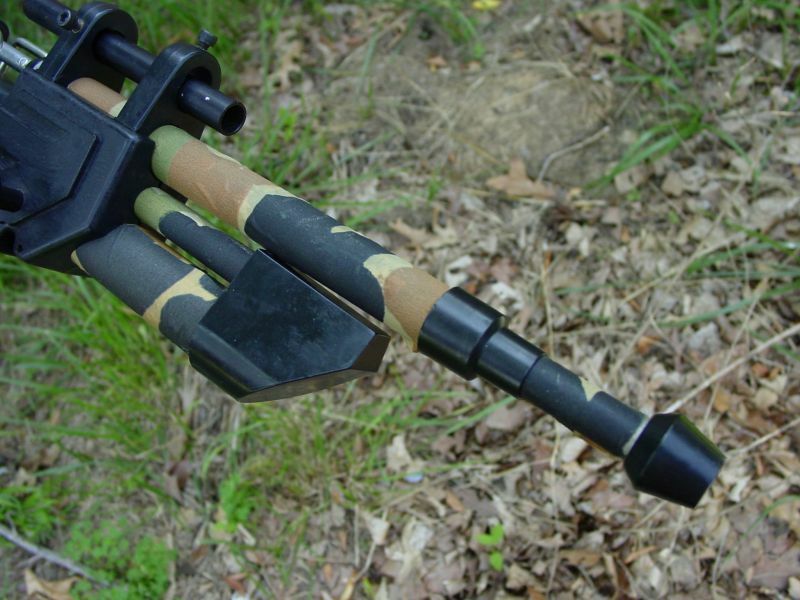 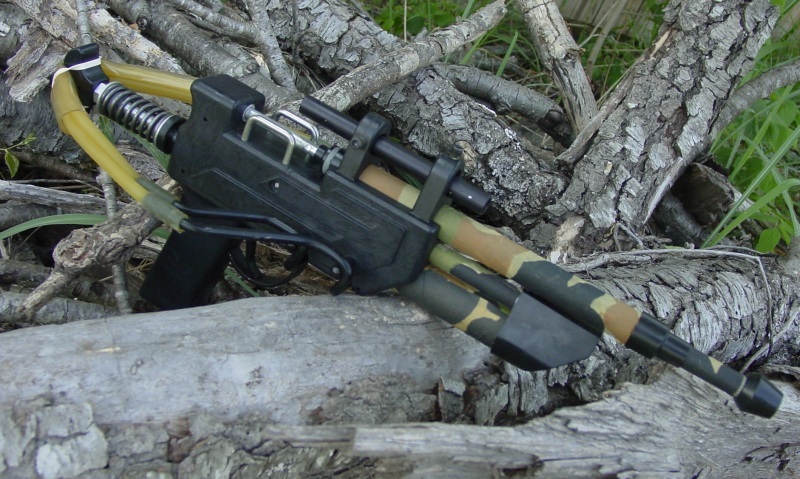 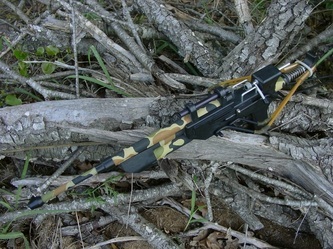 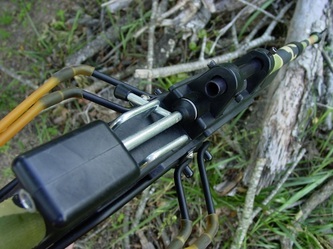 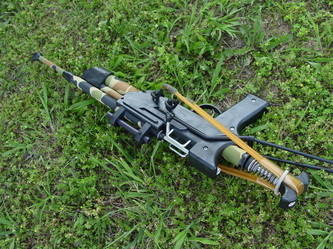 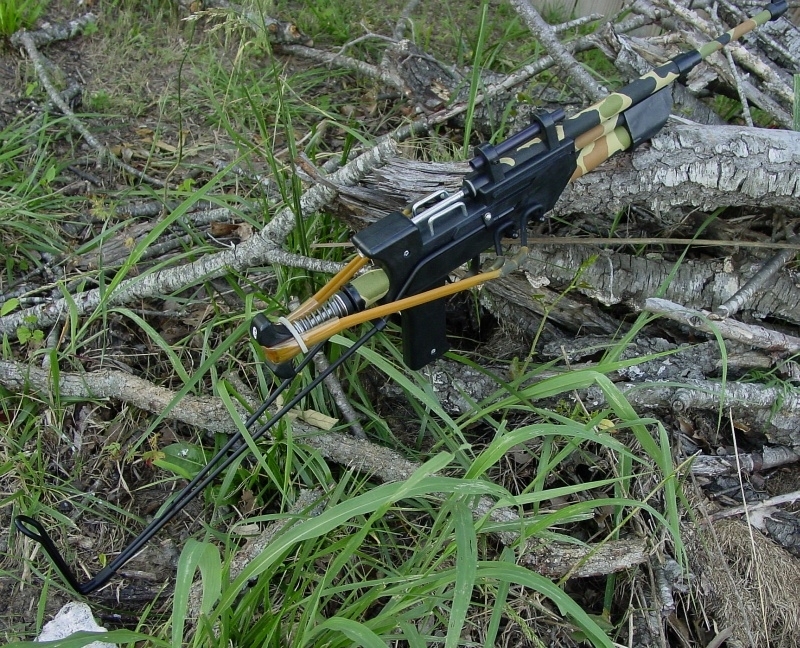 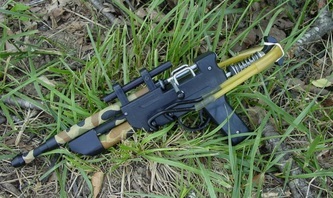 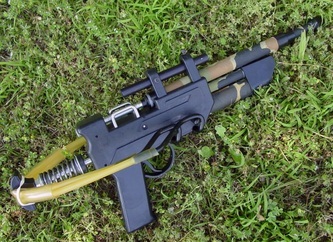 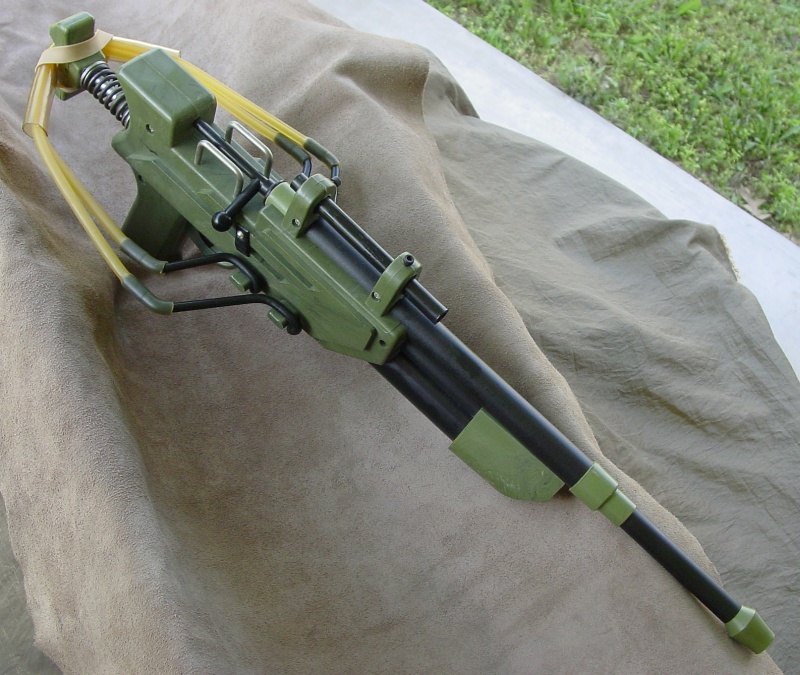 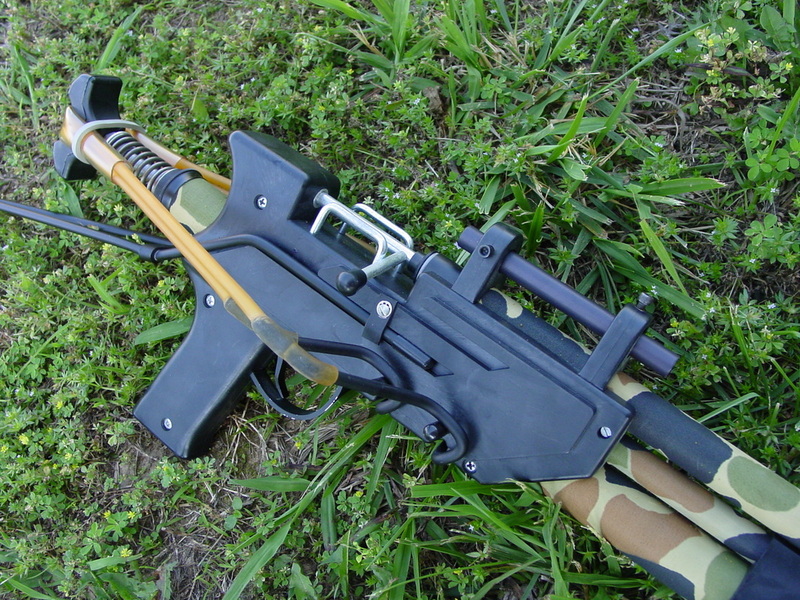 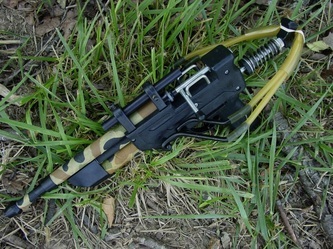 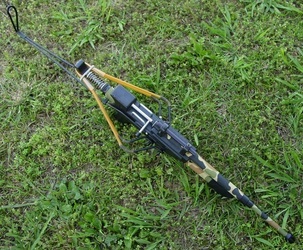 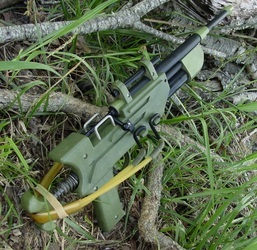 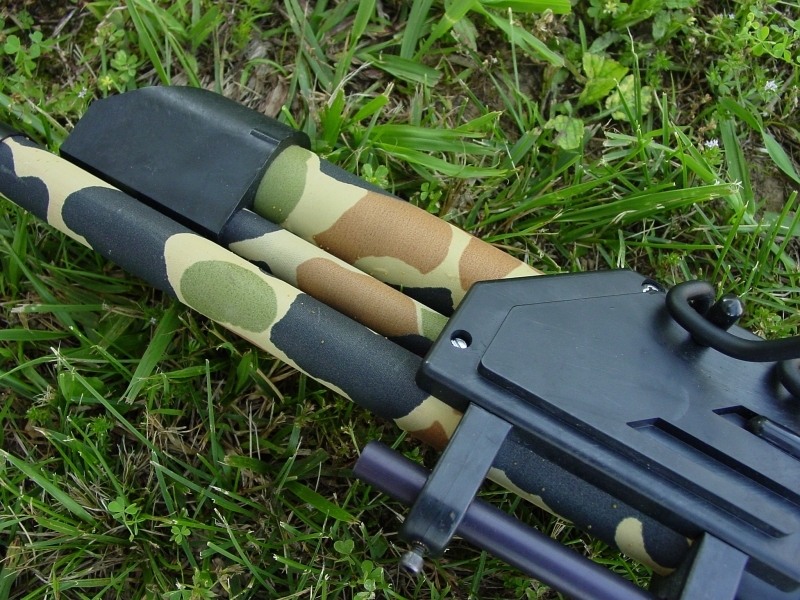 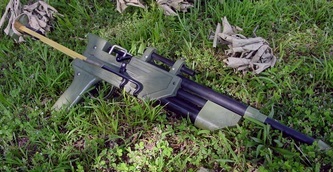 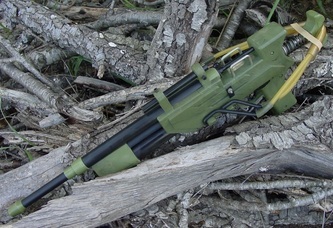 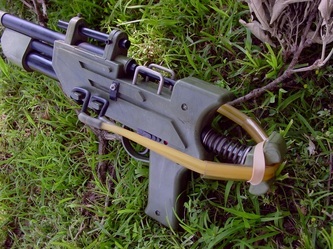 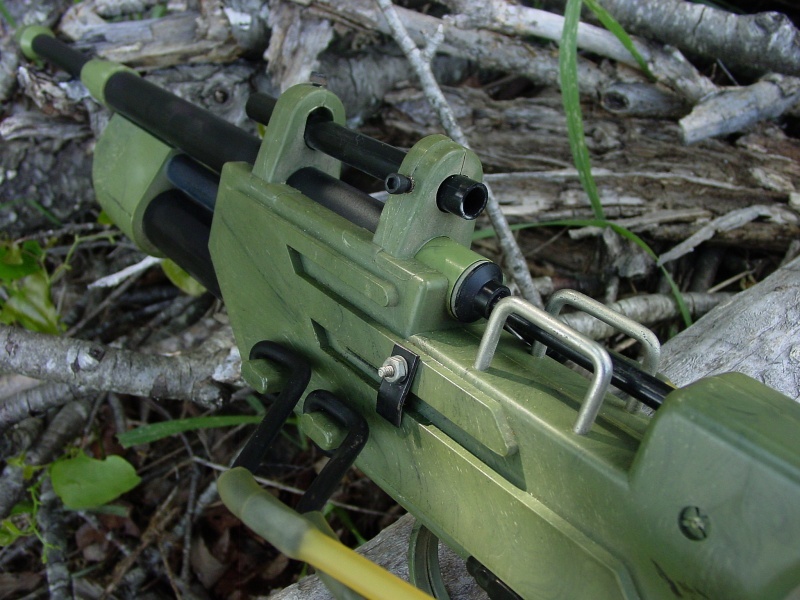 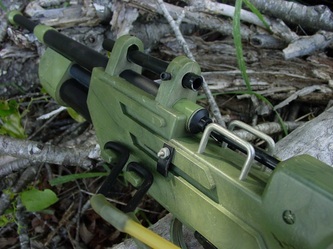 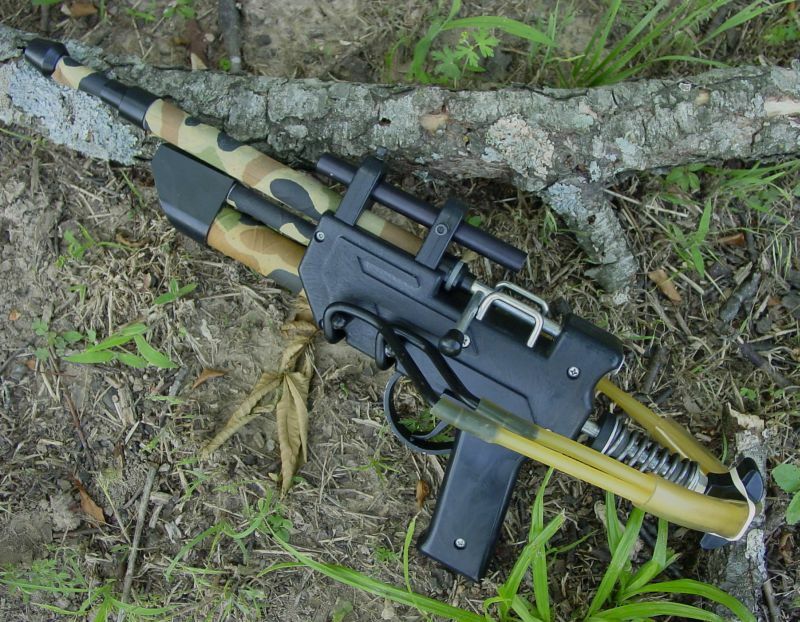 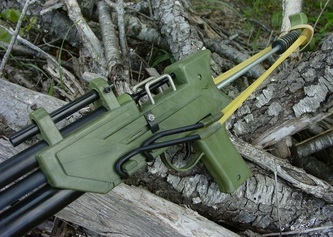 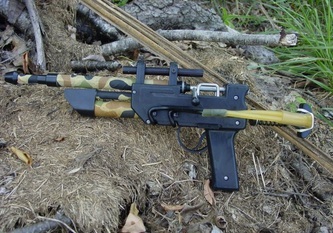 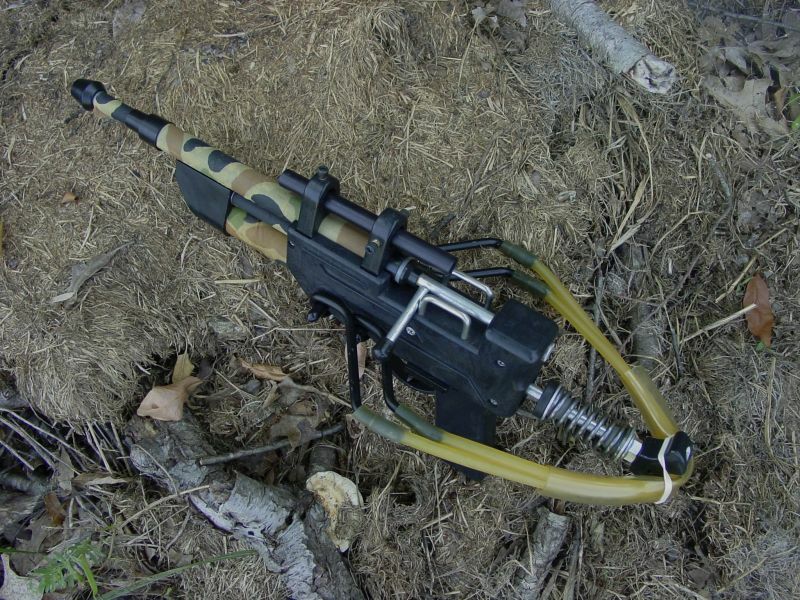 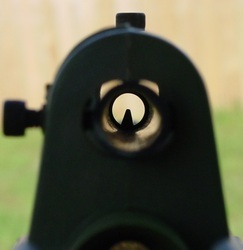 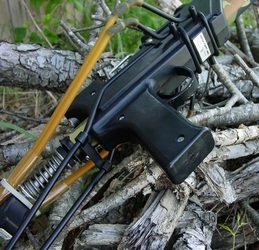 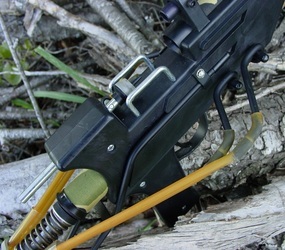 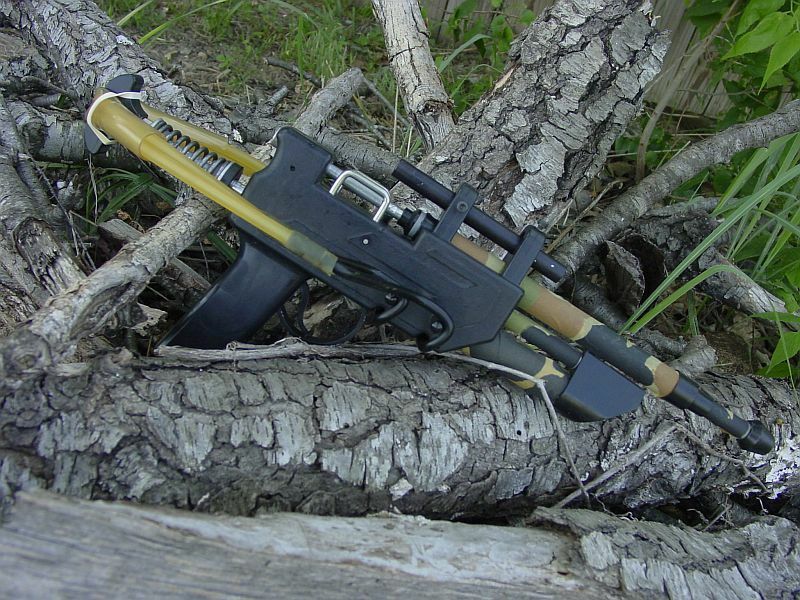 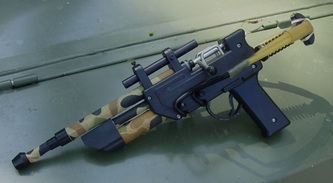 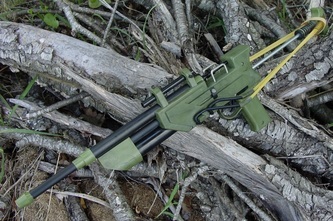 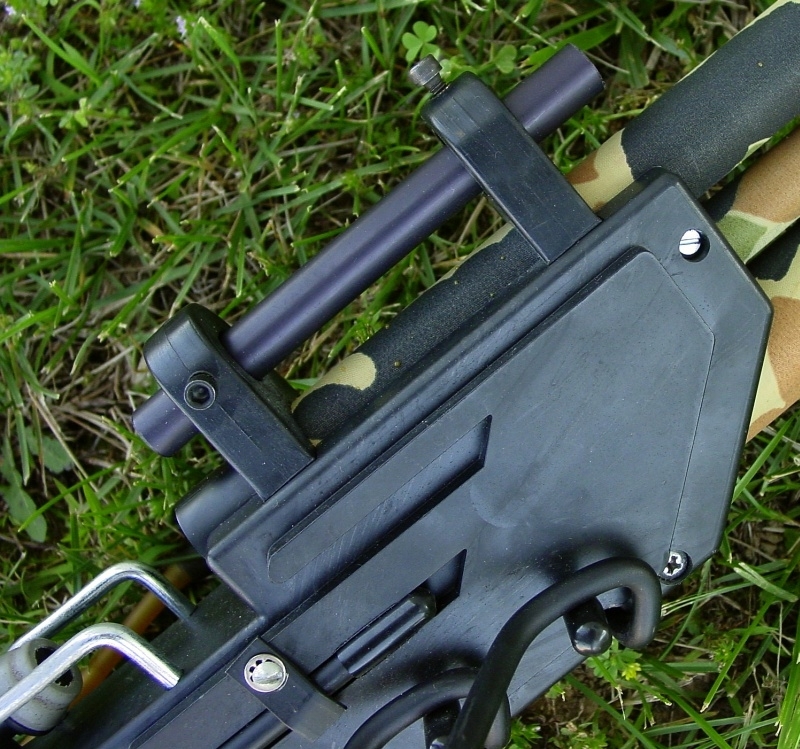 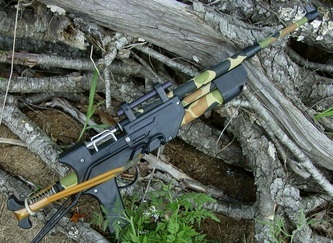 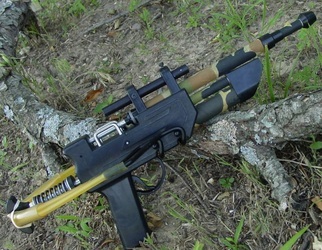 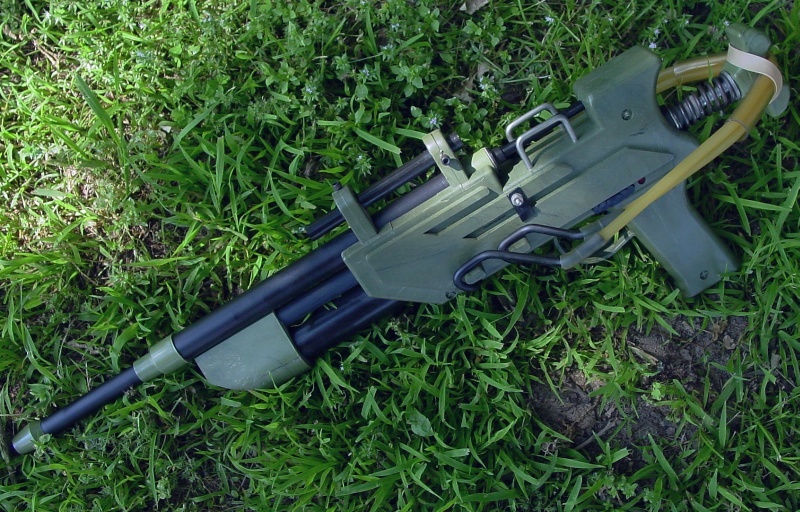 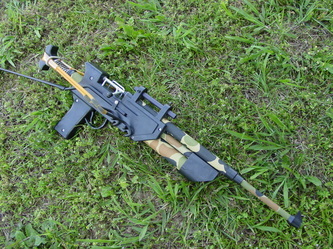 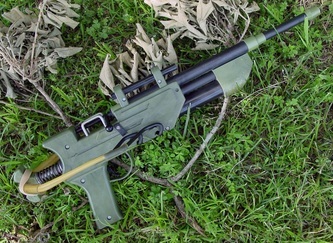 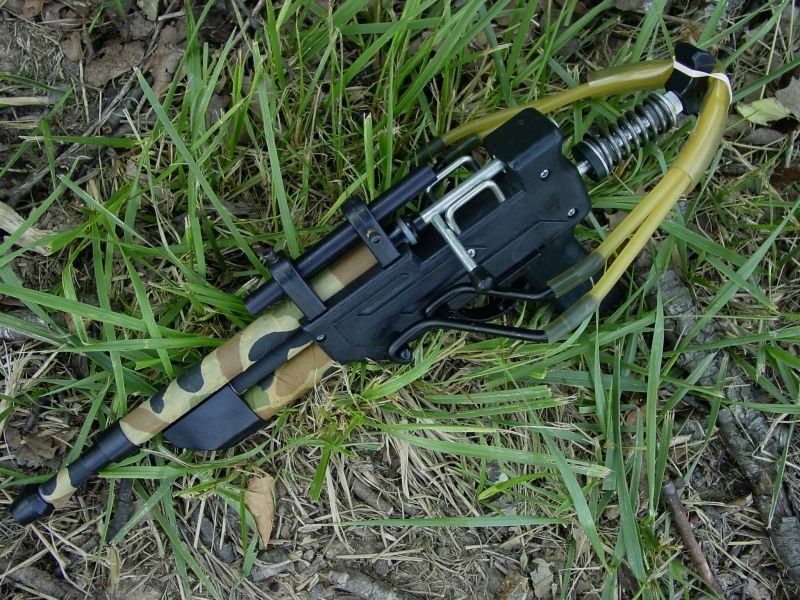 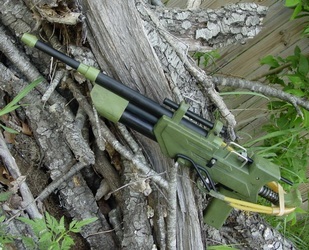 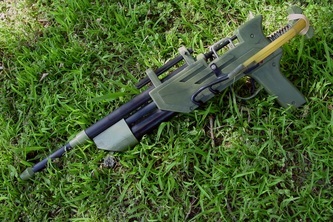 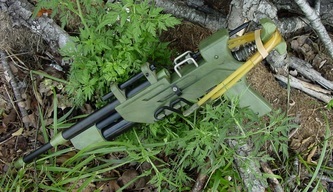 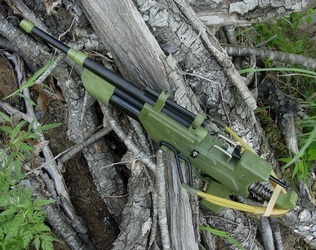 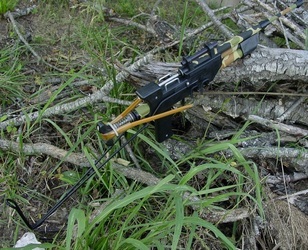 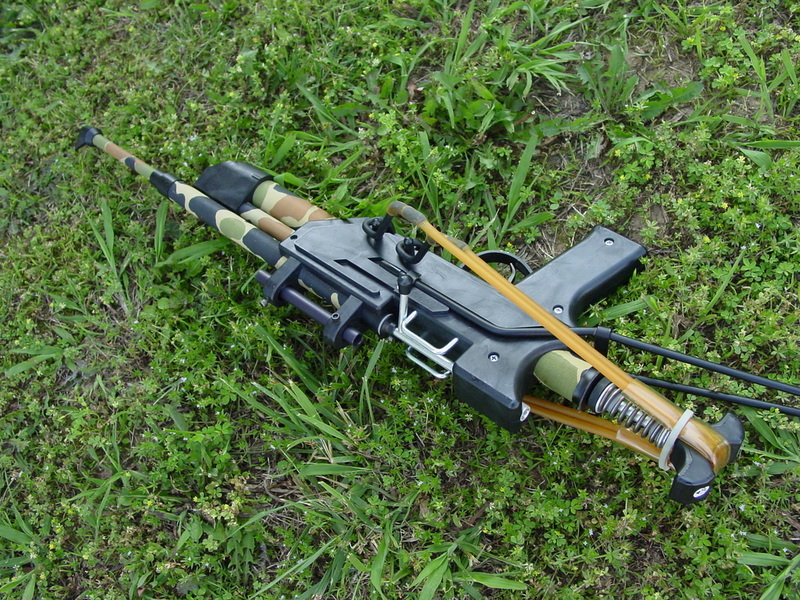 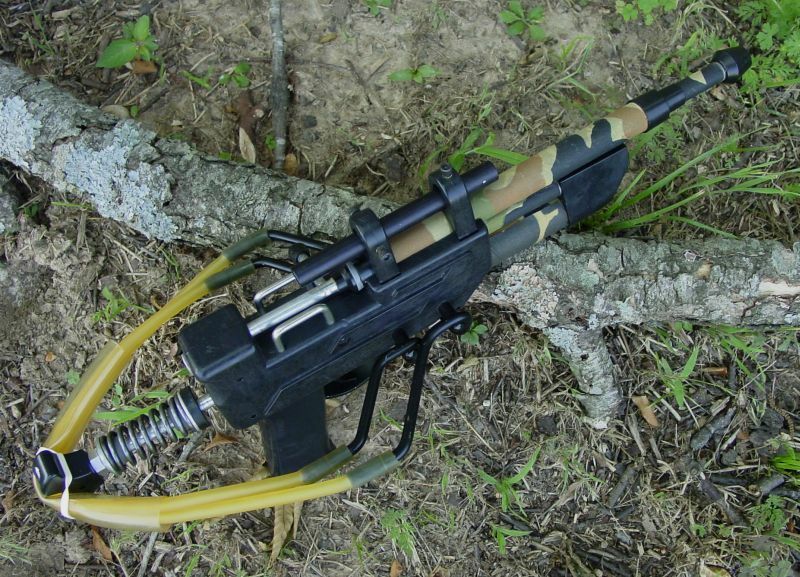 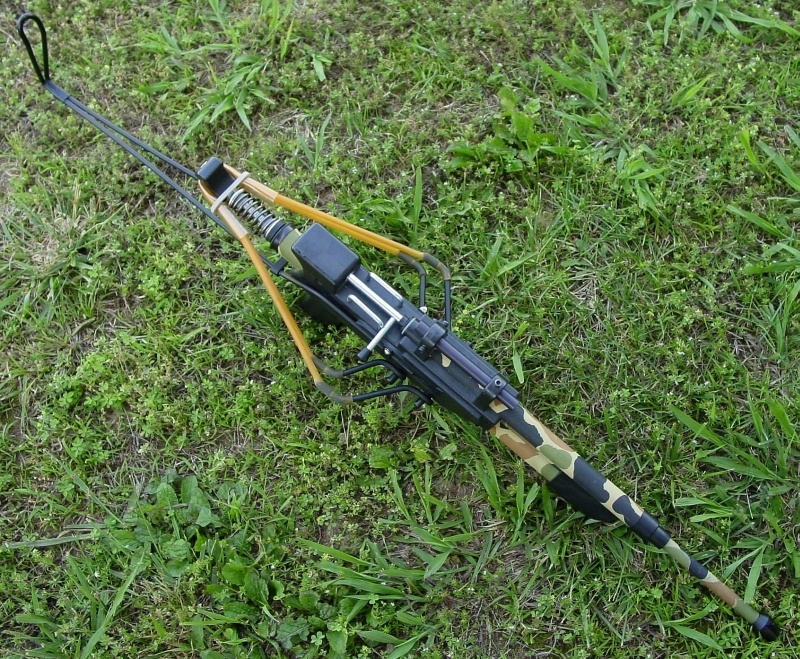 One aims the rifle by looking through the sighting tube mounted on top of the gun. When ready to fire pull the trigger. 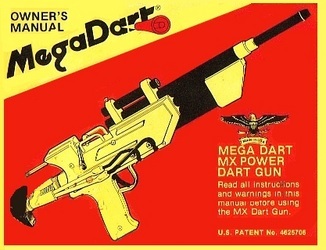 Upon firing the Mega-Dart one will sense the gun rise and exhibit significant reverse recoil. 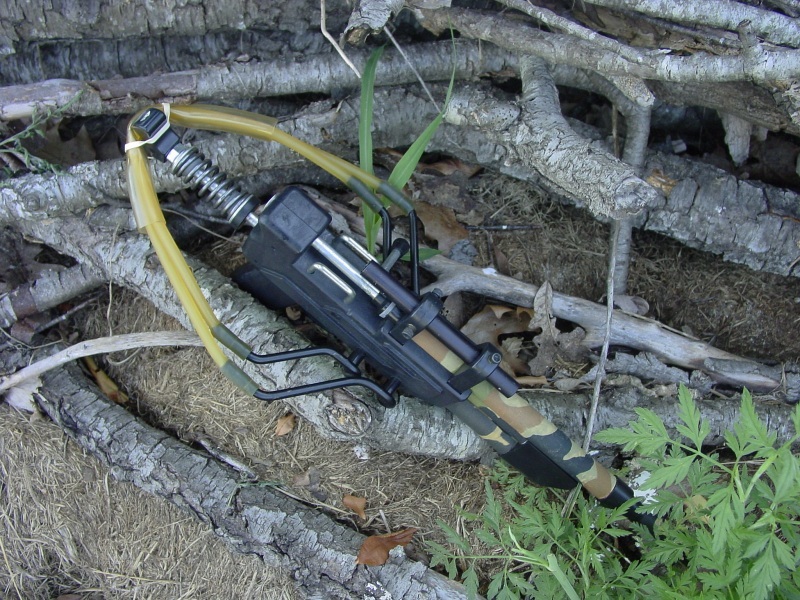 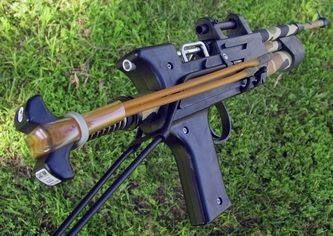 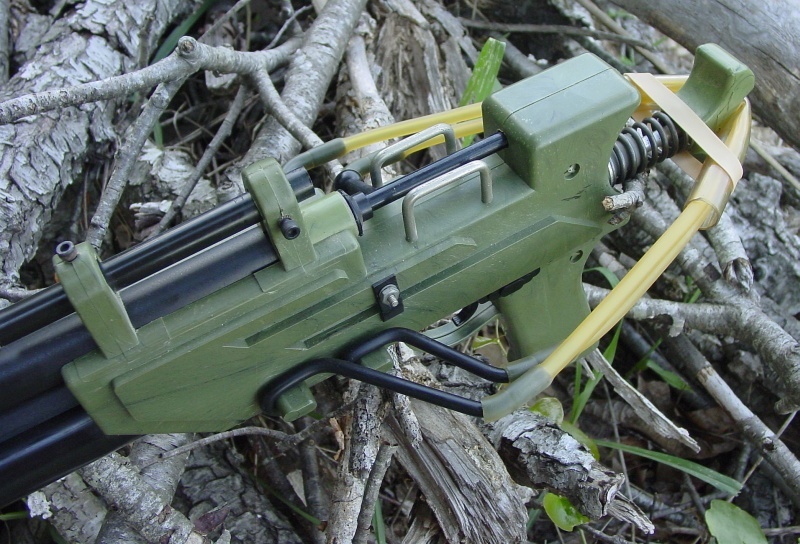 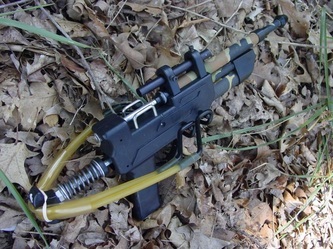 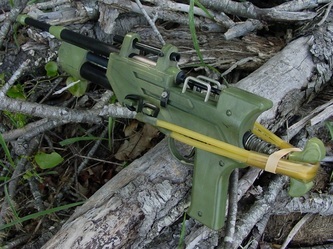 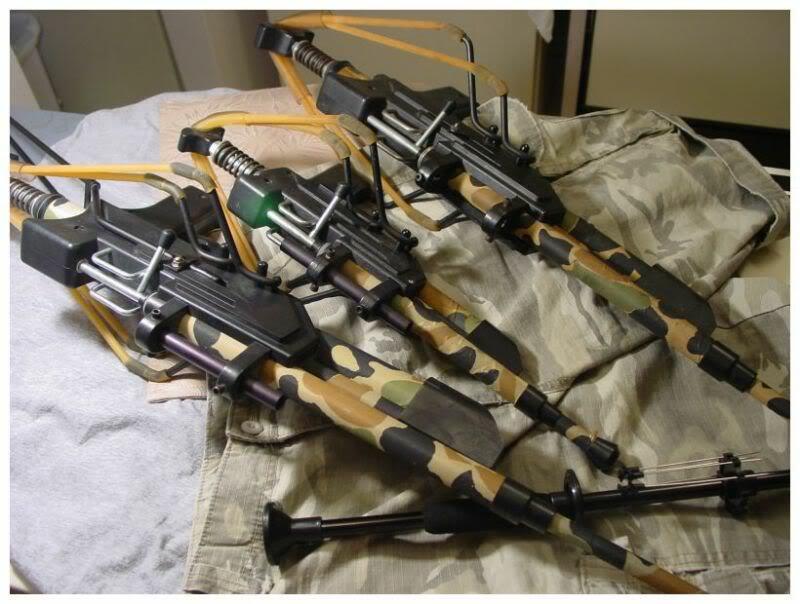 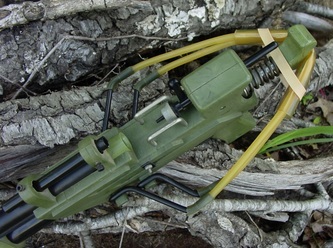 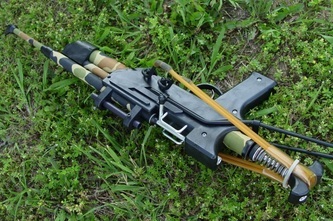 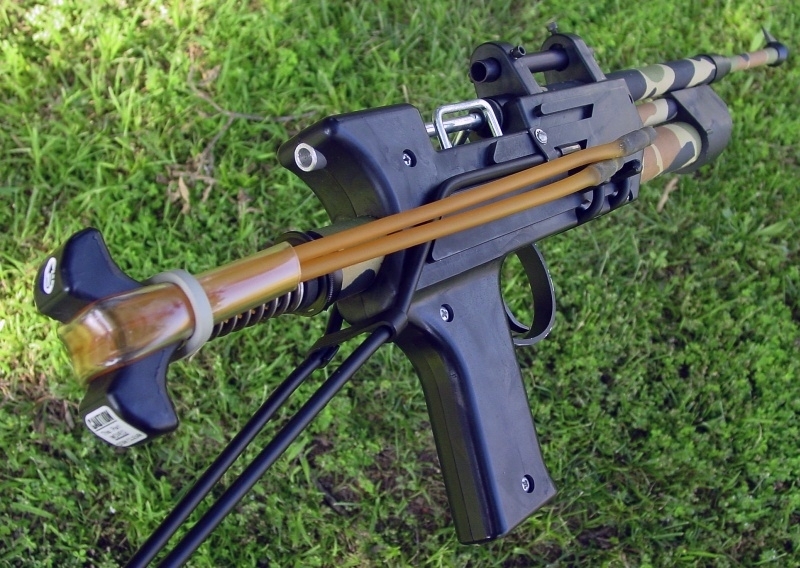 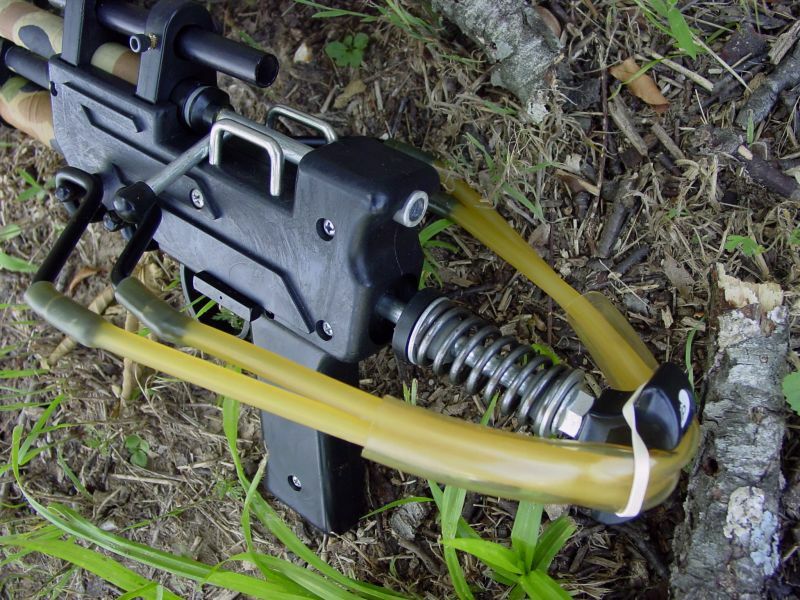 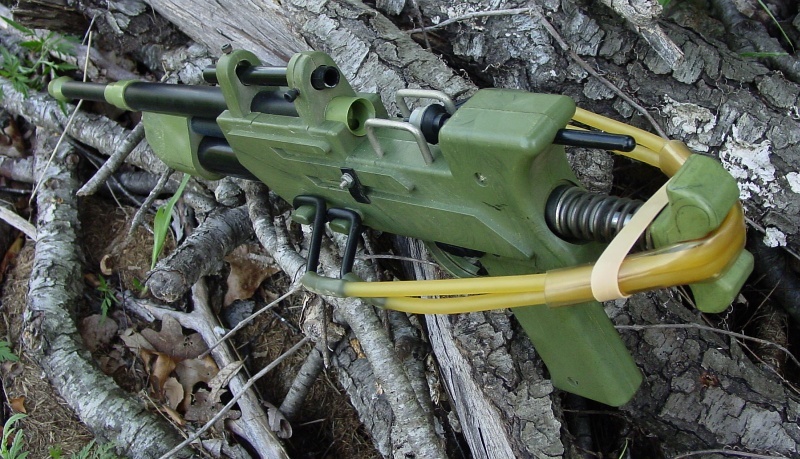 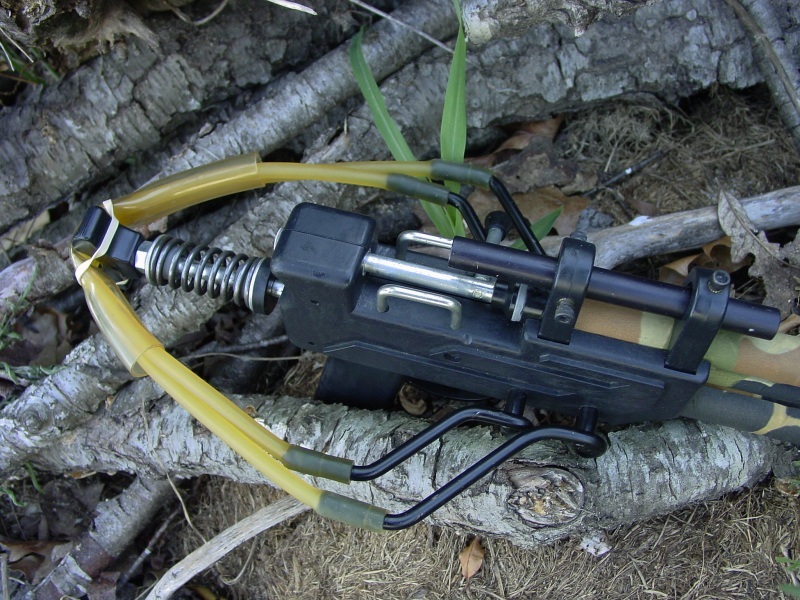 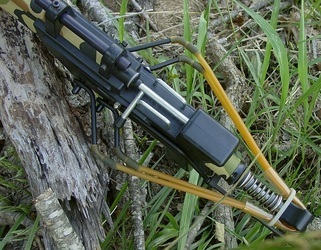 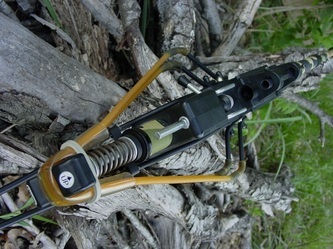 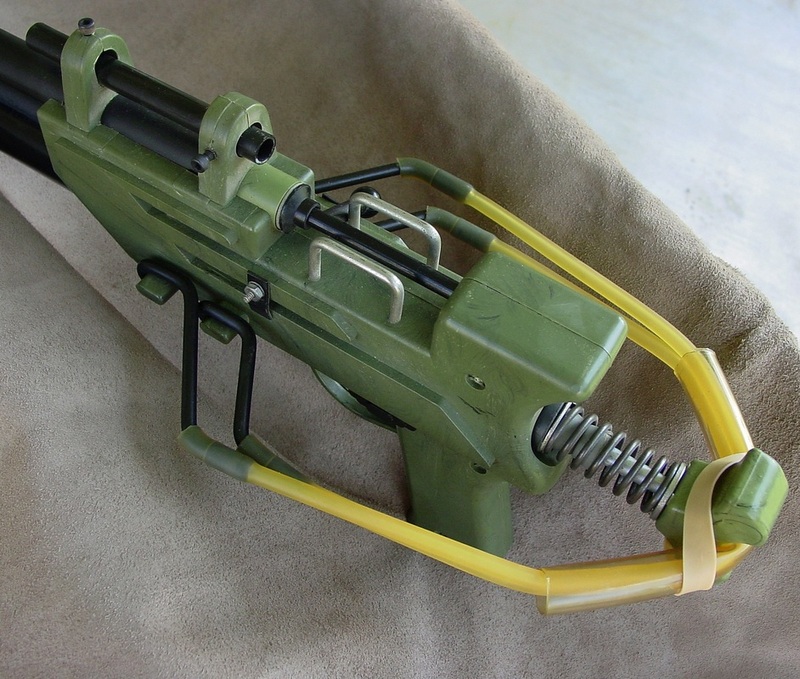 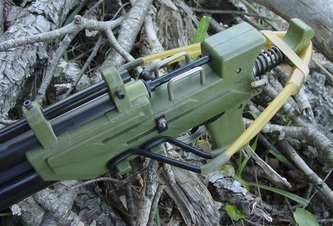 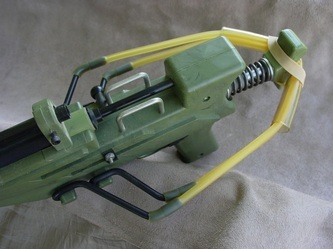 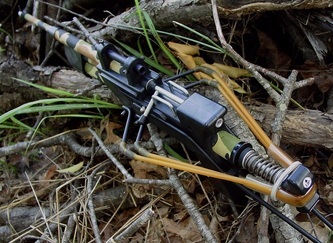 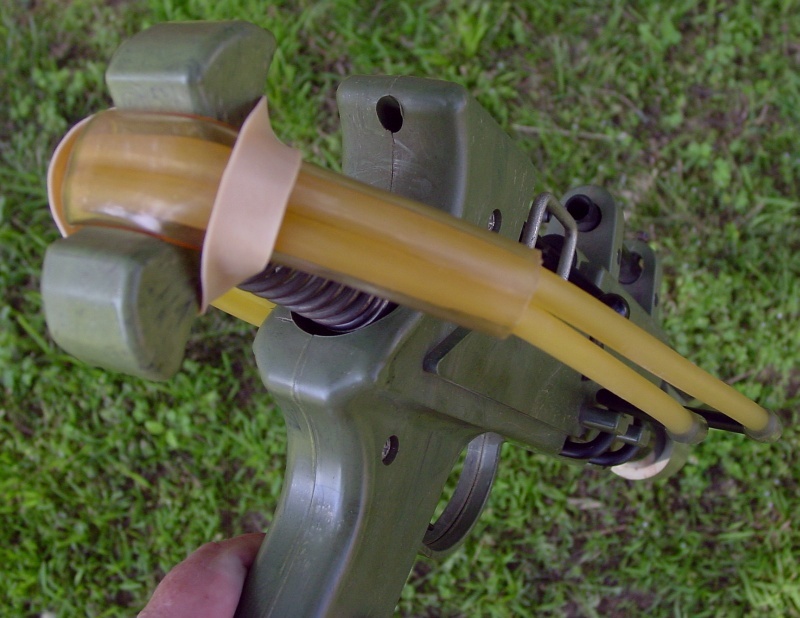 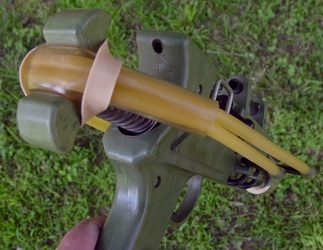 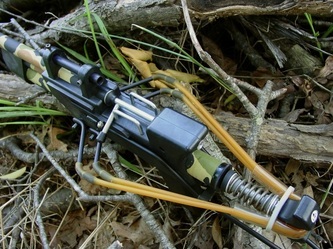 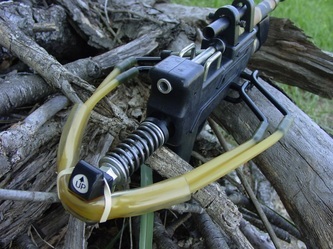 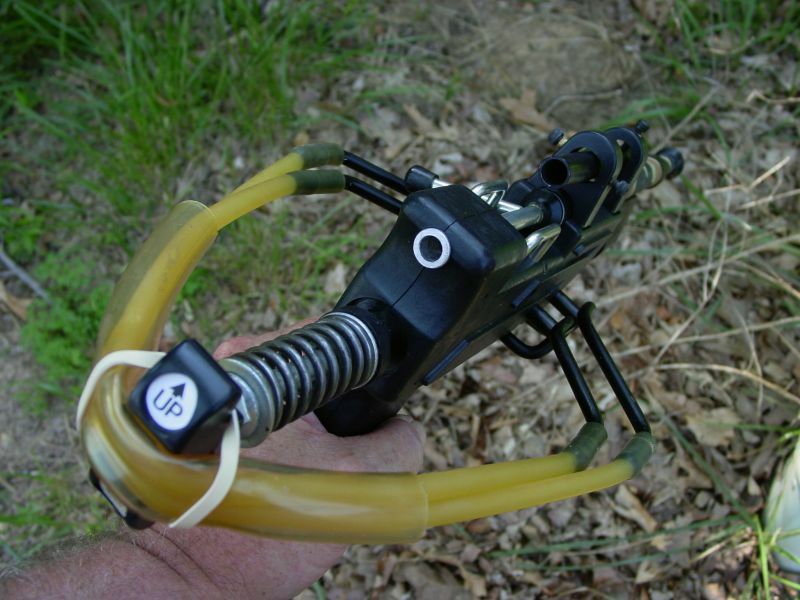 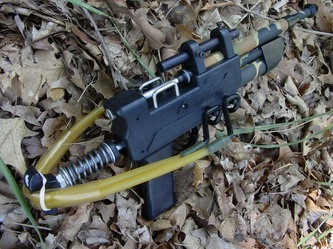 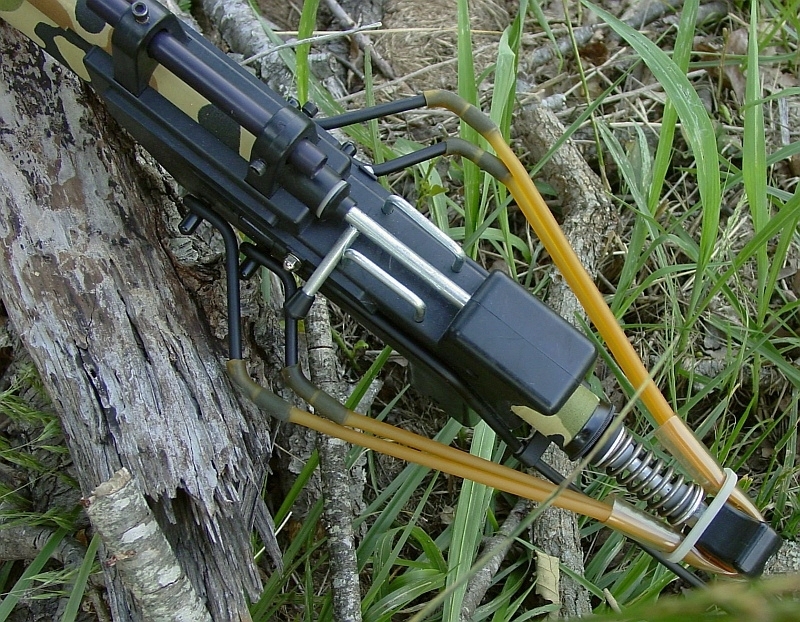 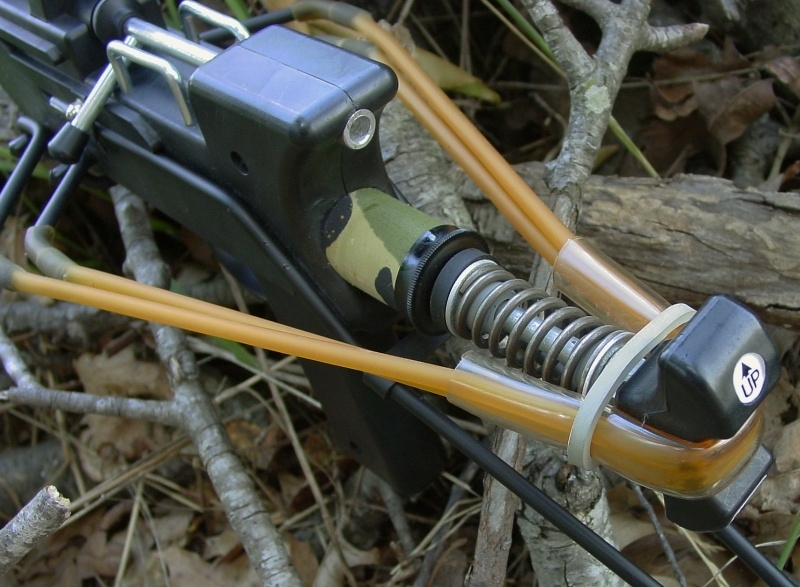 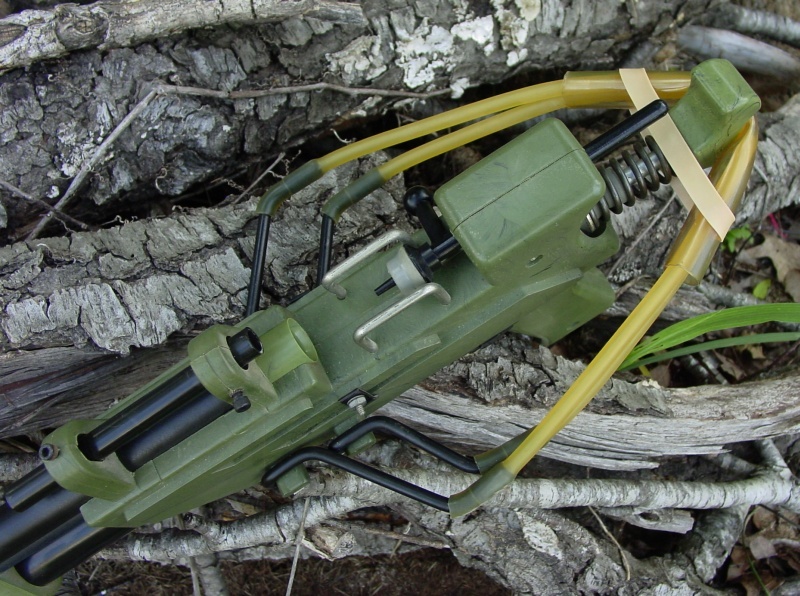 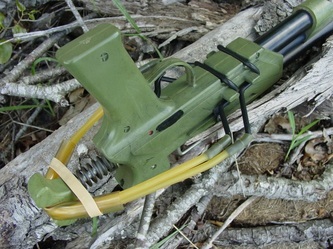 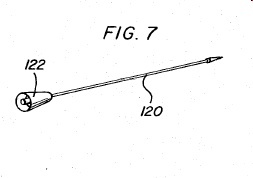 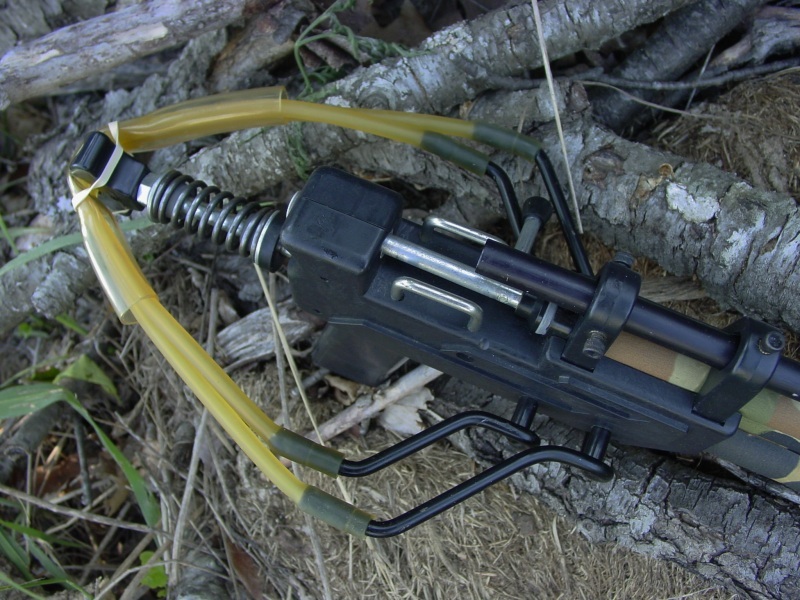 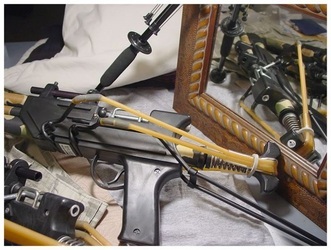 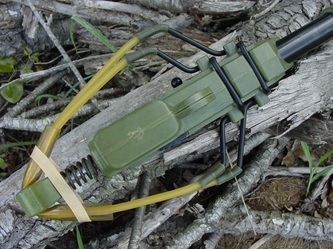 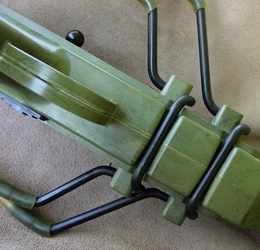 At this instant the elastic bands will rapidly contract driving the cocking handle & piston rod/piston assembly forward inside the compression tube producing a burst of air that forcefully ejects the dart out the front of the barrel and toward the target. 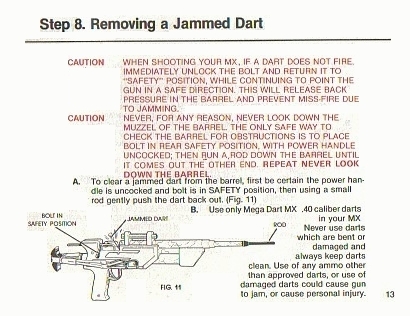 SAN JOSE, Calif. - Metal darts that police say can pierce bulletproof vests were pulled off the market, the chairman of the company that makes them said. 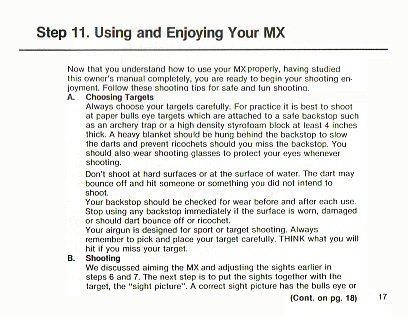 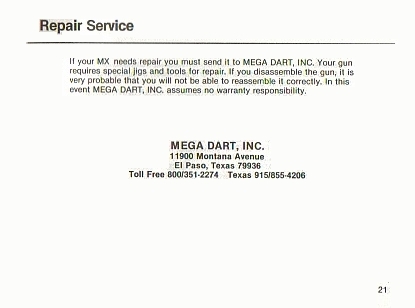 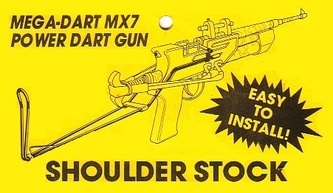 The needlelike, 4-inch-long ammunition for Mega Dart's MX-7 dart gun will be replaced with rubber ammunition "that can't penetrate anything," John Turner said in a telephone interview from his office in El Paso. 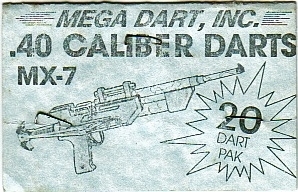 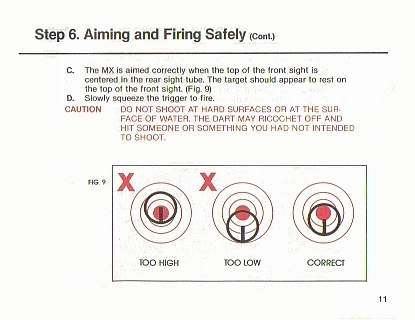 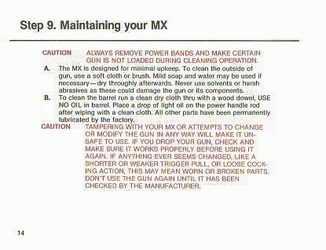 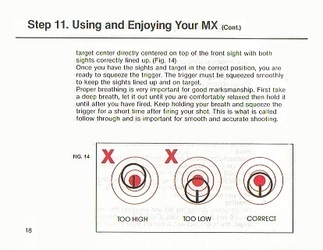 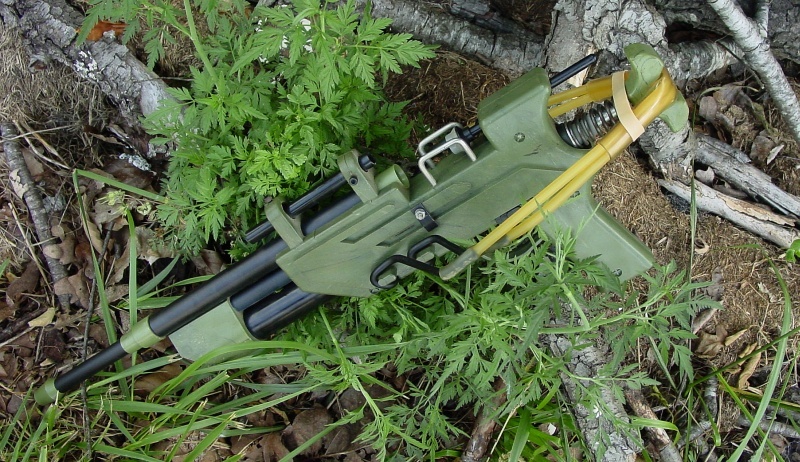 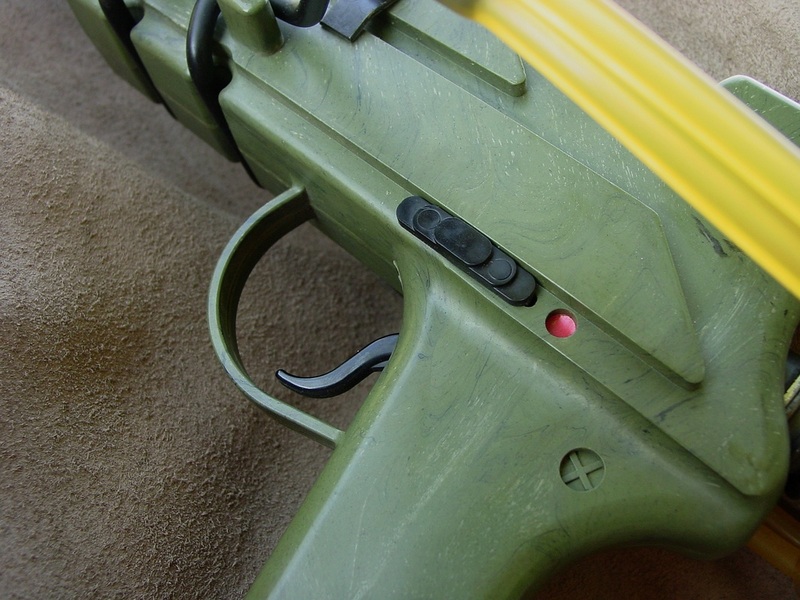 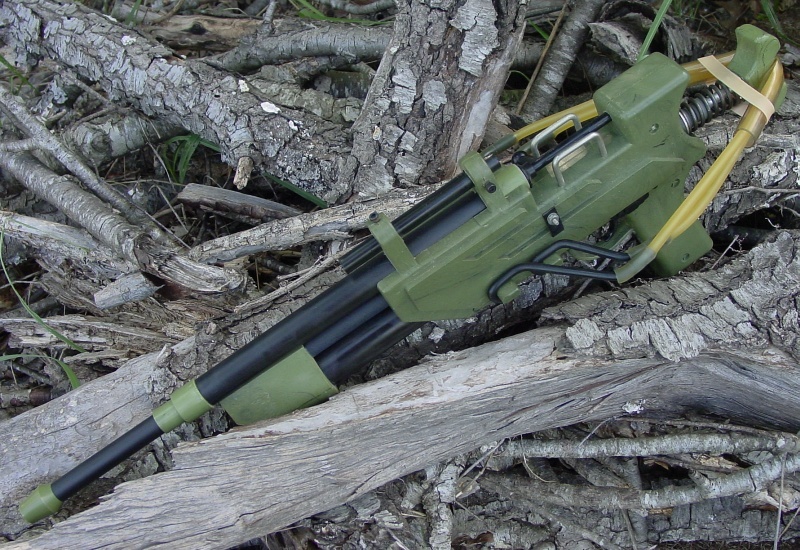 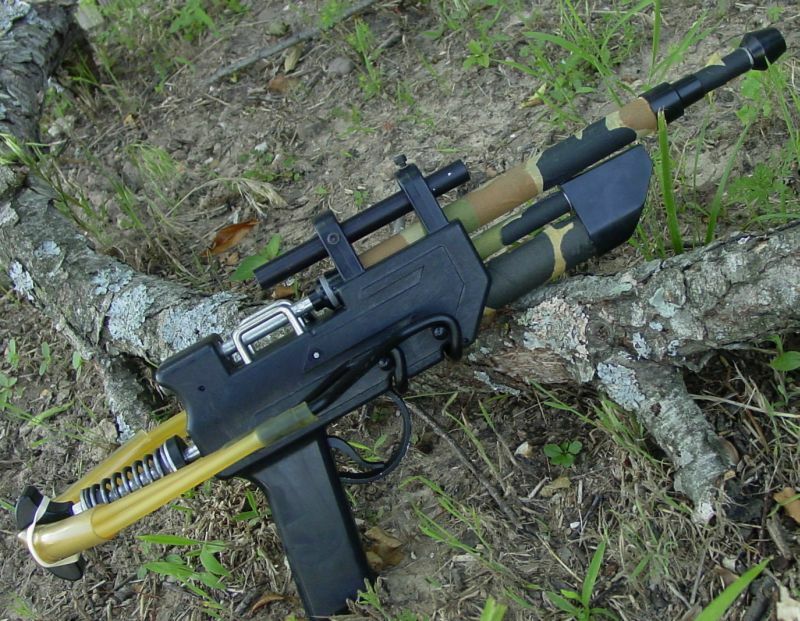 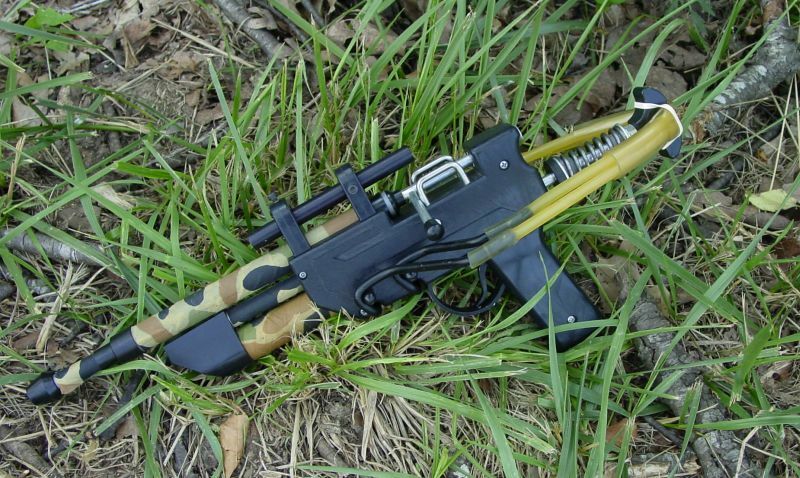 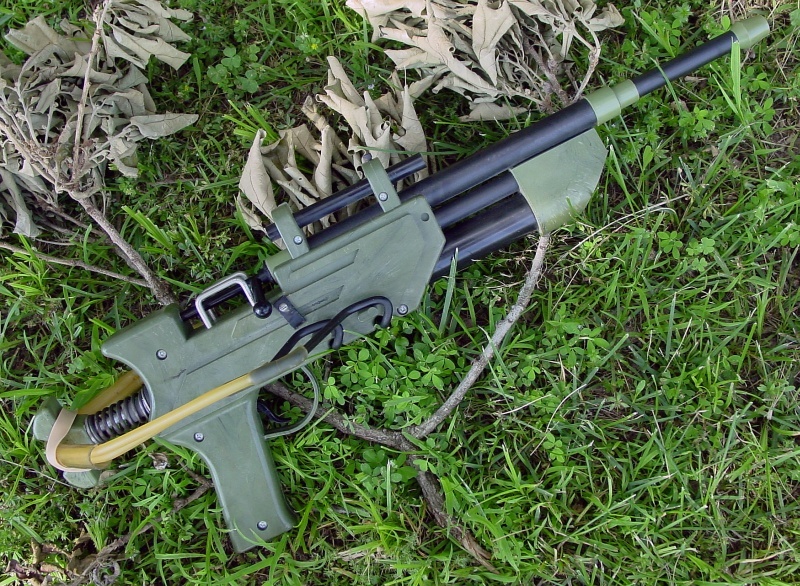 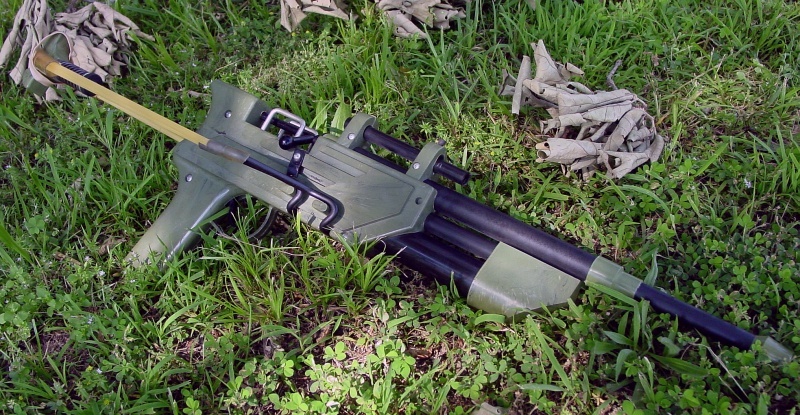 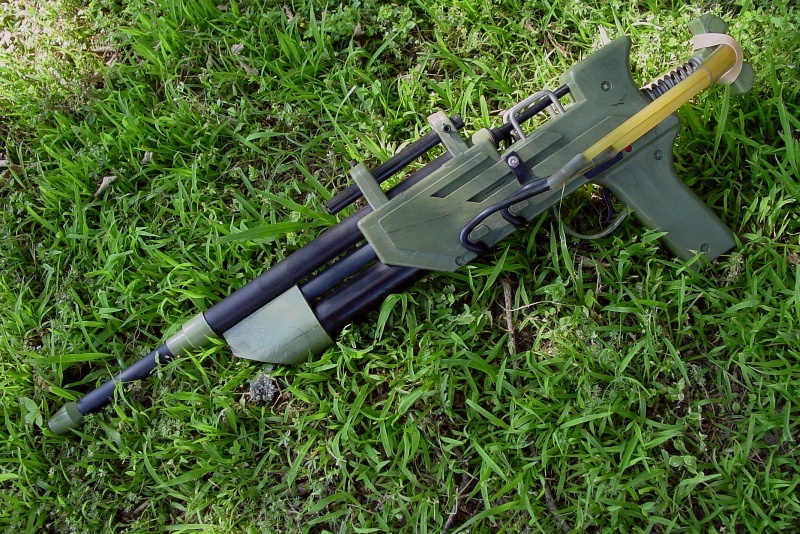 The manufacturer's advertised FPS (Feet Per Second) rating for the MX-7 rifle was 720 FPS . Our preliminary chronograph testing has yielded a significantly lower FPS figure for the MX-7. *Click on any image below to increase it's size. Overall length: (30" contracted) (40- 1/2" cocked) Barrel Length: 19" Compression tube length: 17- 1/2" x 1- 1/4" O.D. 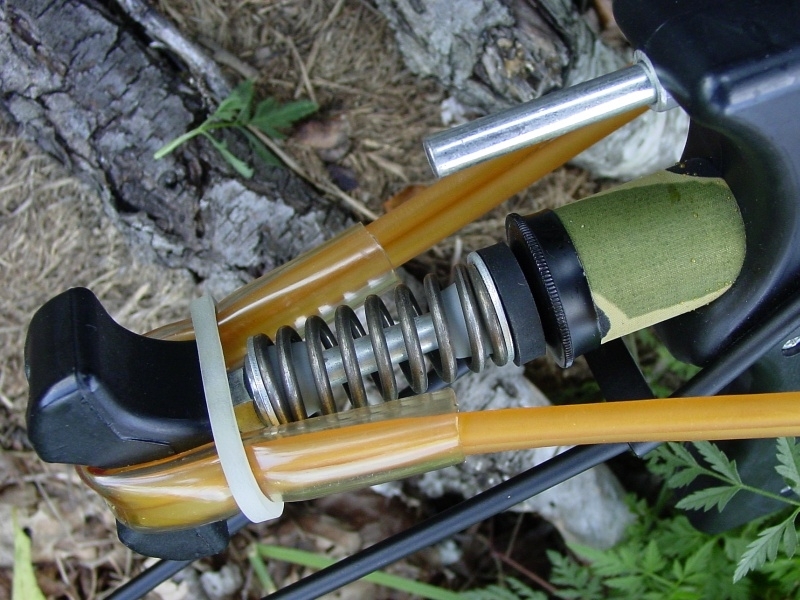 Tensioned band lengths: (Outer Band = 23") (Inner Band = 21") Made of 5/16" O.D. amber latex surgical tubing. Overall length: (25 -1/2" contracted) (33" cocked) Barrel length: 17" Compression tube length: 14" x 1- 1/4" O.D. 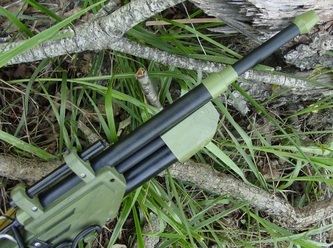 Overall length: (19" contracted) (25" cocked) Barrel length: 11" Compression tube length: 10-1/4" x 1" O.D. 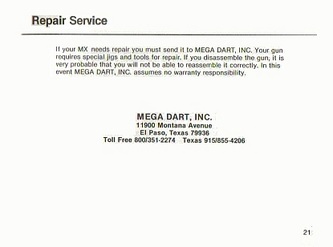 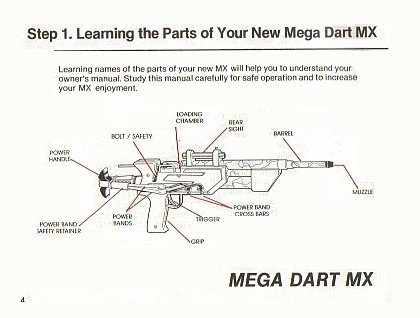 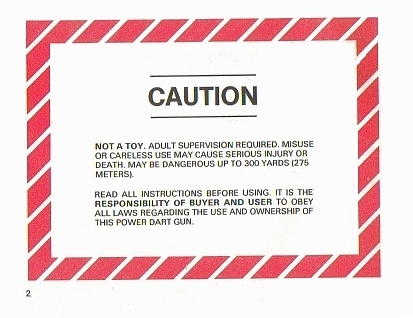 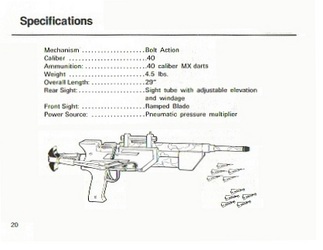 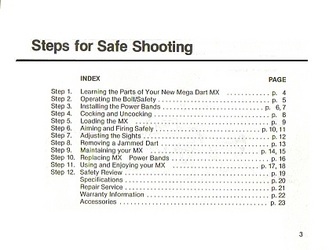 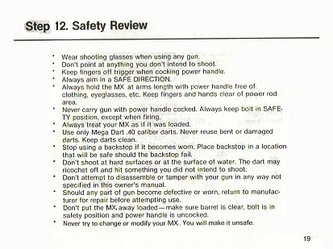 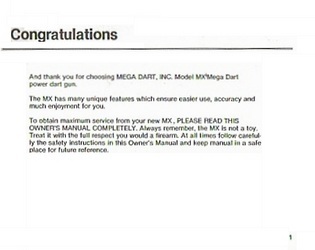 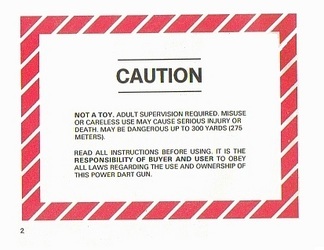 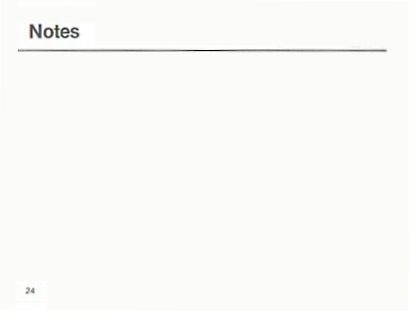 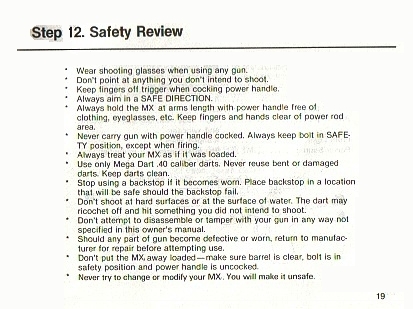 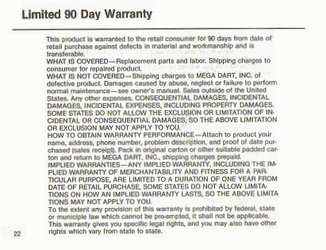 I'm not aware of an actual factory parts list for the Mega-Dart guns so this one was created for reference purposes. 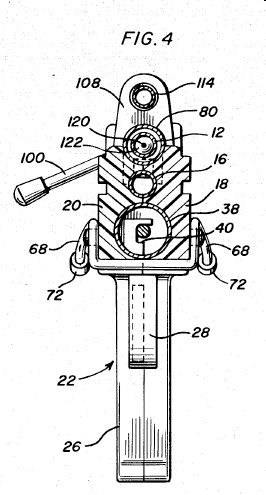 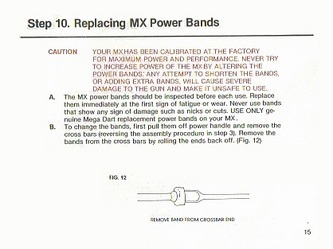 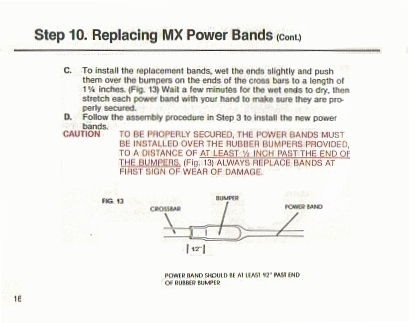 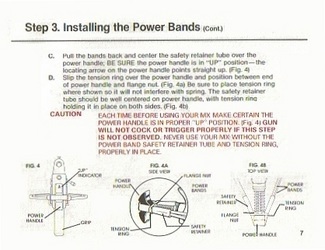 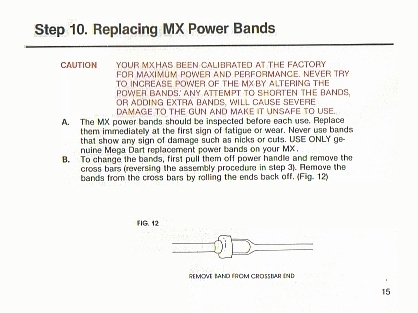 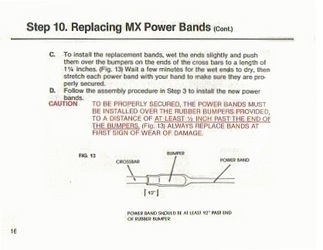 In cases where a part number or description are noted in the original patent drawings that nomenclature is retained. If the inventor's part number or description aren't noted then numbers/descriptions are assigned to the part and referenced as such in the "Parts List".